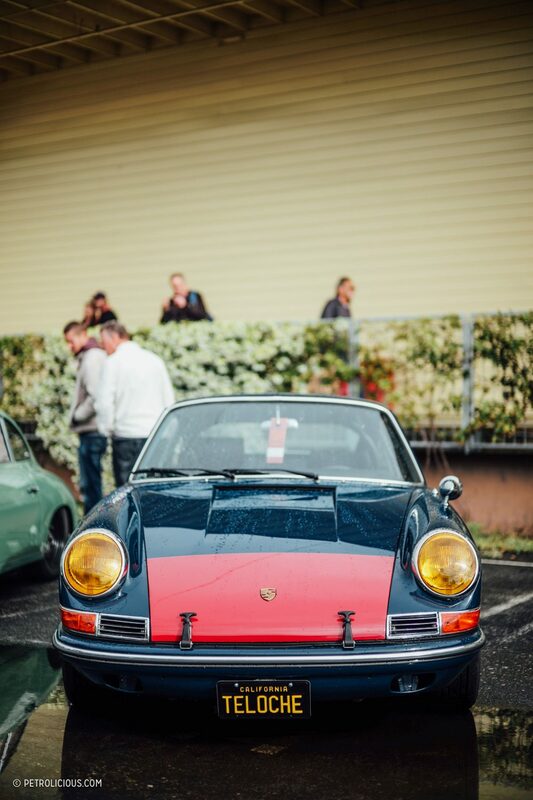 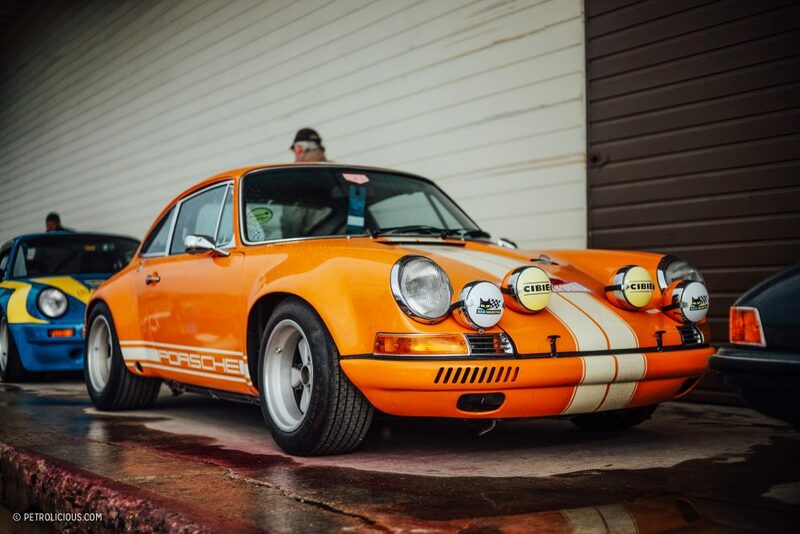 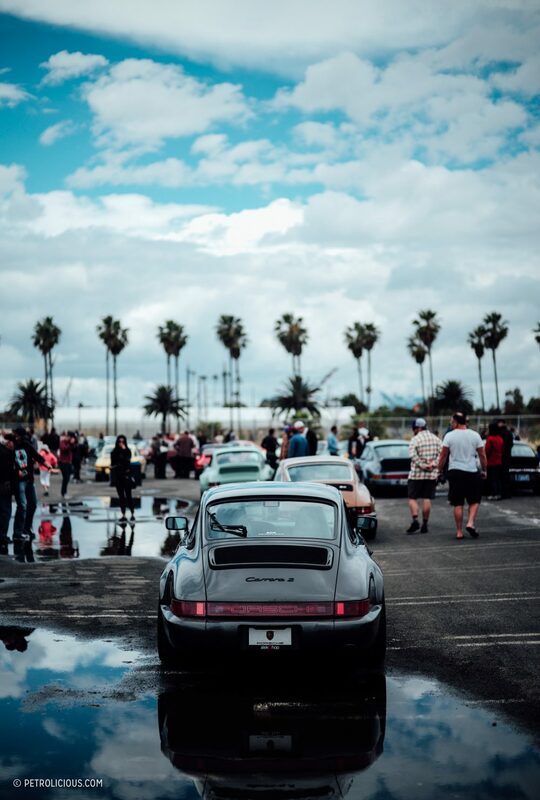 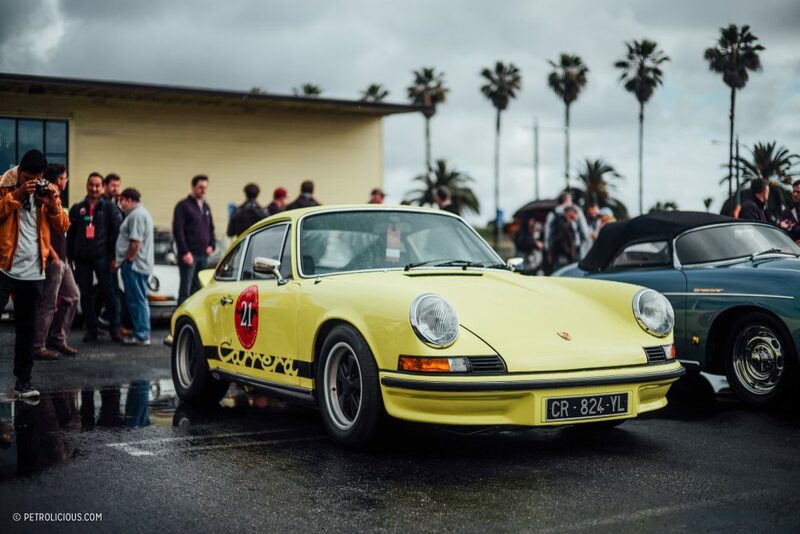 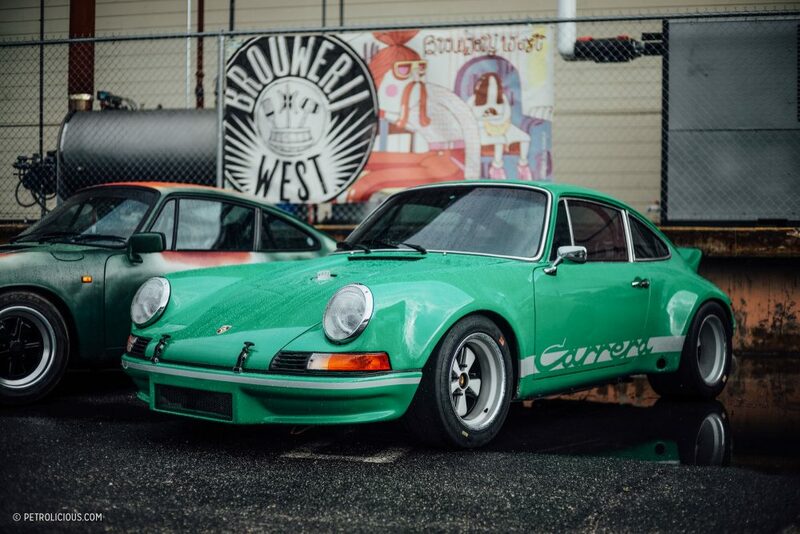 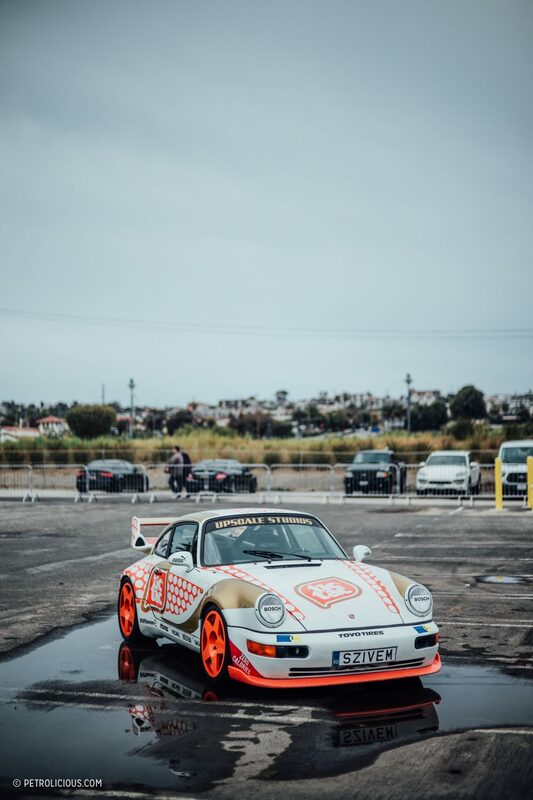 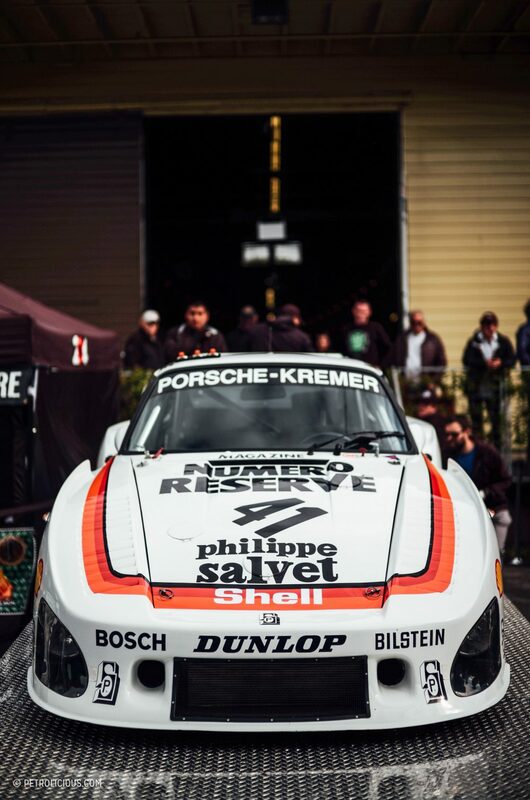 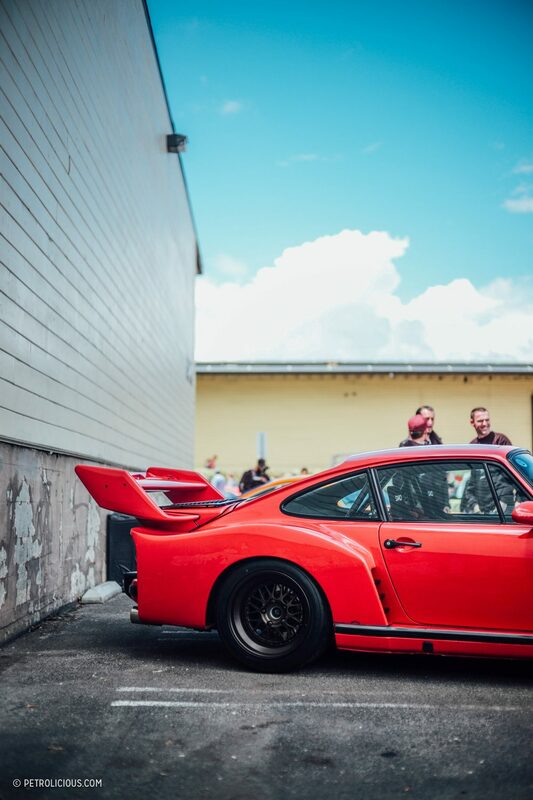 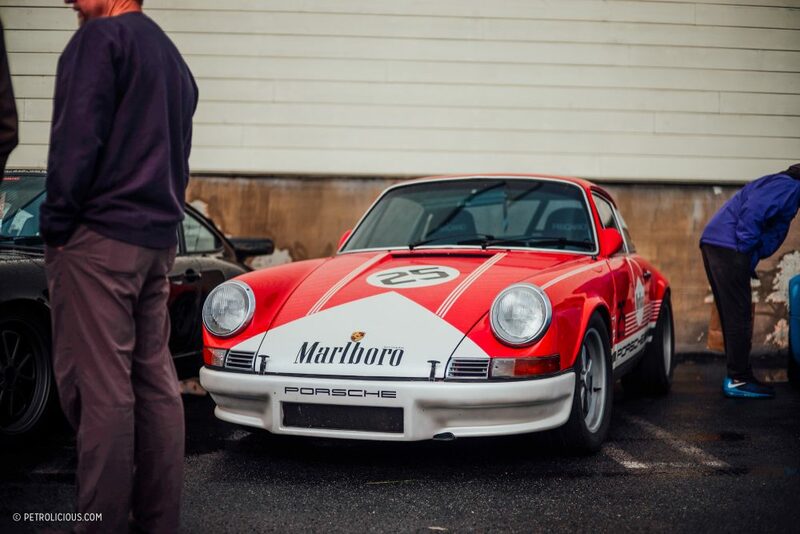 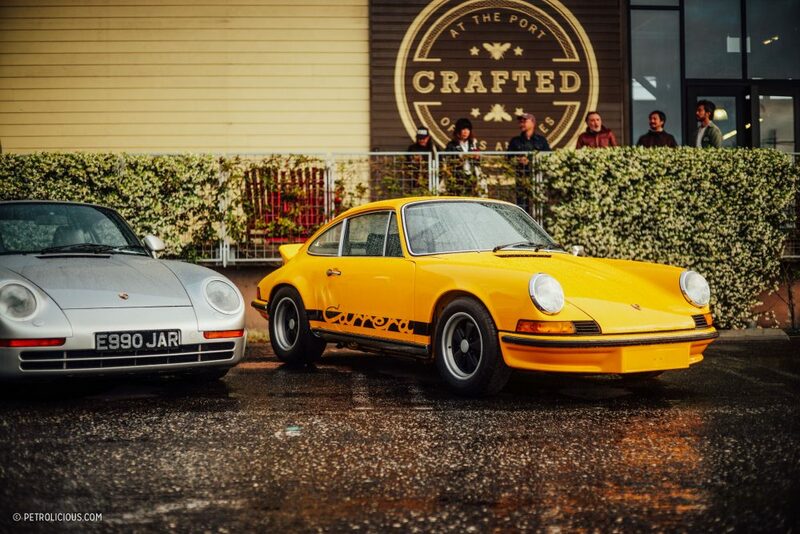 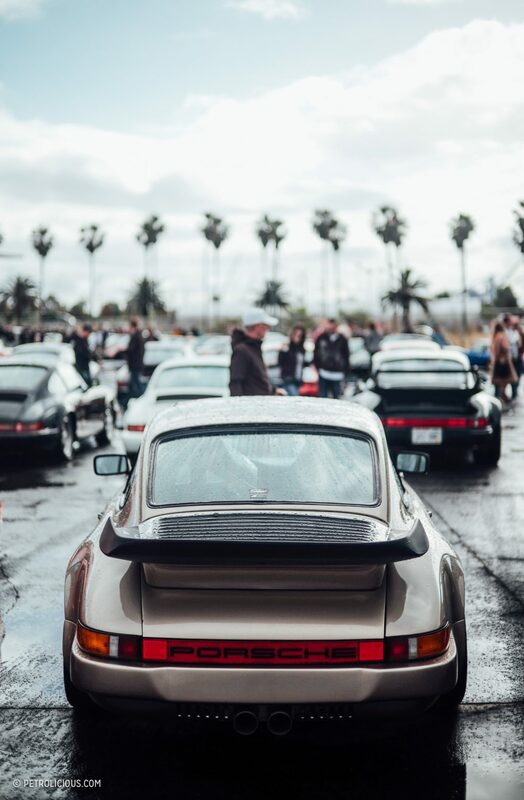 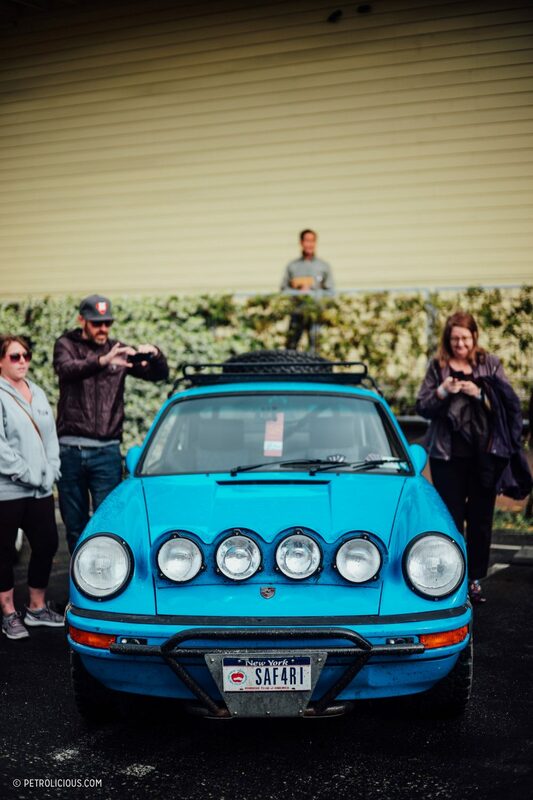 As you likely know by now, Luftgekühlt was yesterday—it’s fitting that such an event would be held on the holiest of the week’s days—and though we skipped church on Sunday, there were no shortages of “holy sh*t” moments at the fourth edition of the Porsche gathering that’s already become one of best days to revel in all things air-cooled. 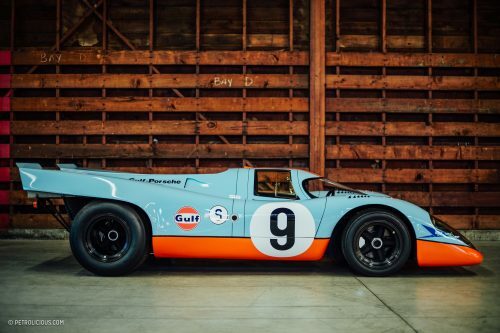 After you accept the fact that yes, you really are standing next to a Gulf 917’s flat-12 as you peer through the thick crowd at Kremer’s Le Mans-winning K3, it stops feeling silly to worship metal and fiberglass. 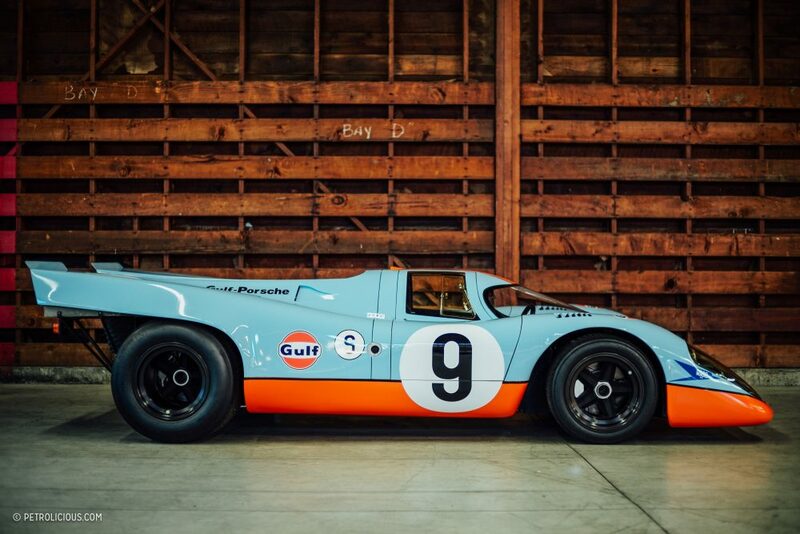 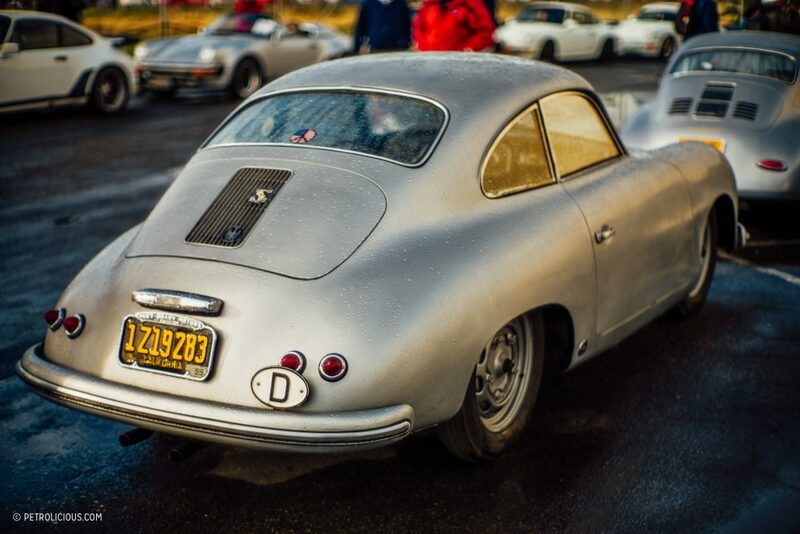 These cars are mythical beings, and Luftgekühlt lets you literally walk among them. 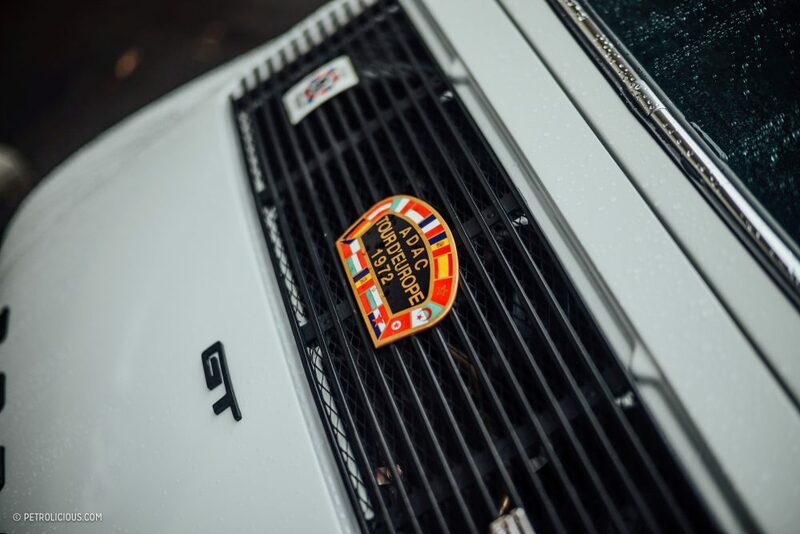 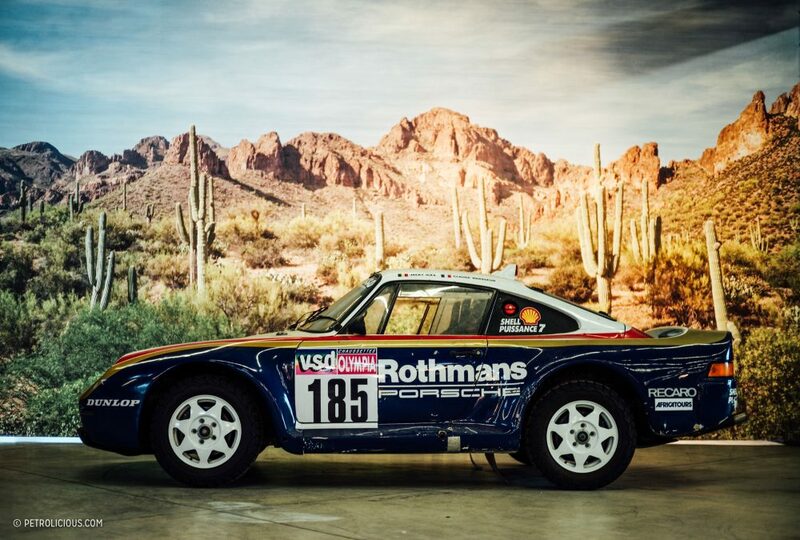 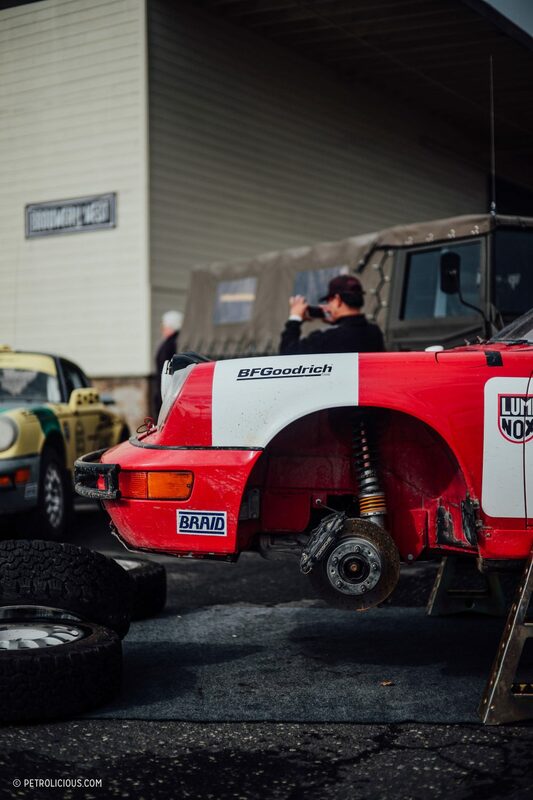 From rally/raid-prepped 959s wearing Rothmans, rock chips, and three-decades-old dirt to the winningest of the last of the bunch, the 911 GT2, there were plenty of shrines to Porsche’s varied and often victorious racing endeavors. 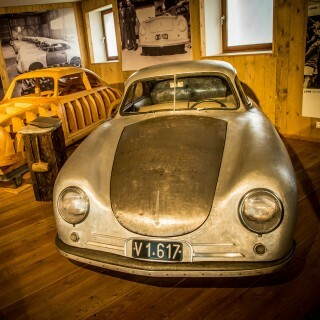 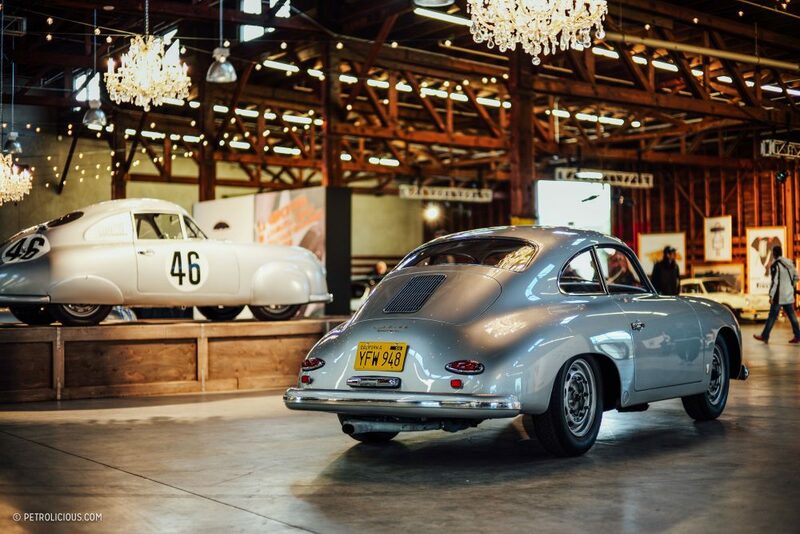 Of particular note as well was the presence of Porsche’s 356SL that brought home the marque’s first class victory at Le Mans. 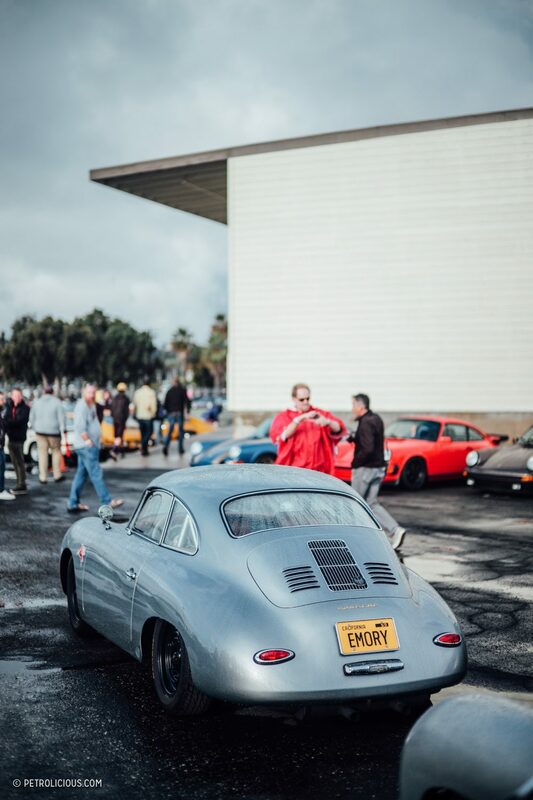 Recently “restored” by 356-guru Rod Emory (this was no pamper and puff-up job, as the car was built in keeping with how Porsche would have done it in the period: imperfect and all the more intriguing because of it), this is the car that would bring home the seminal success in what would be a long lineage of Le Mans dominance, i.e. 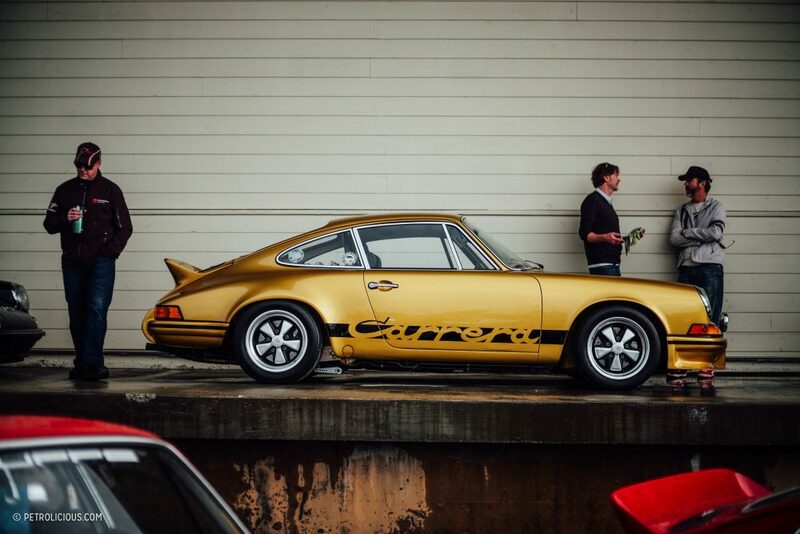 very precious and special metal. 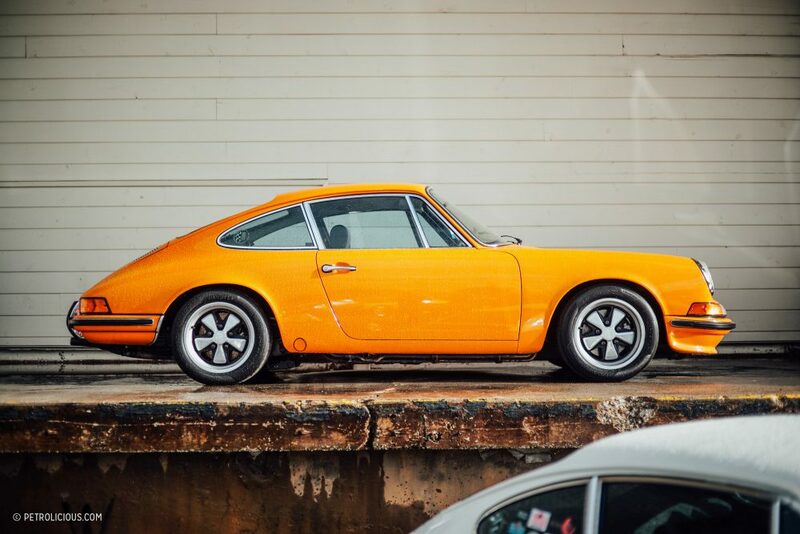 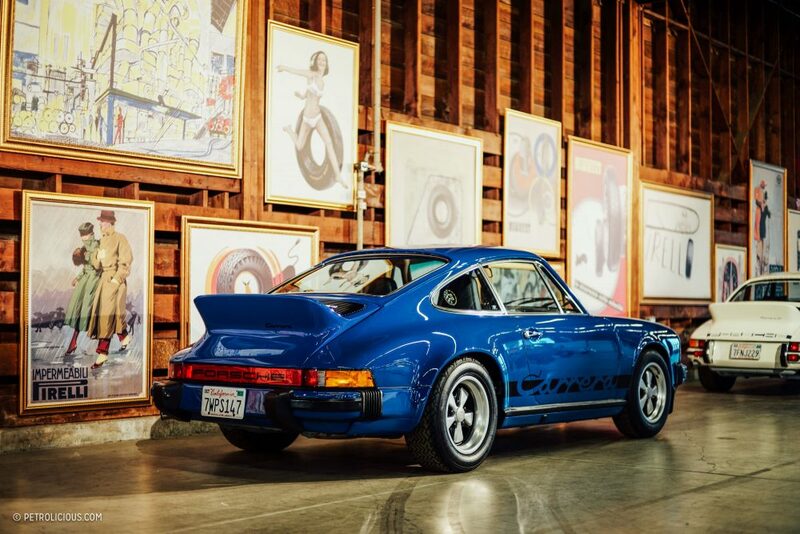 Of course, it wasn’t all about Jaegermeister 934s and Diehard 917/30s, as the parade of production cars contained just about everything that’s ever flown across the dreamscape of the air-cooled enthusiast. 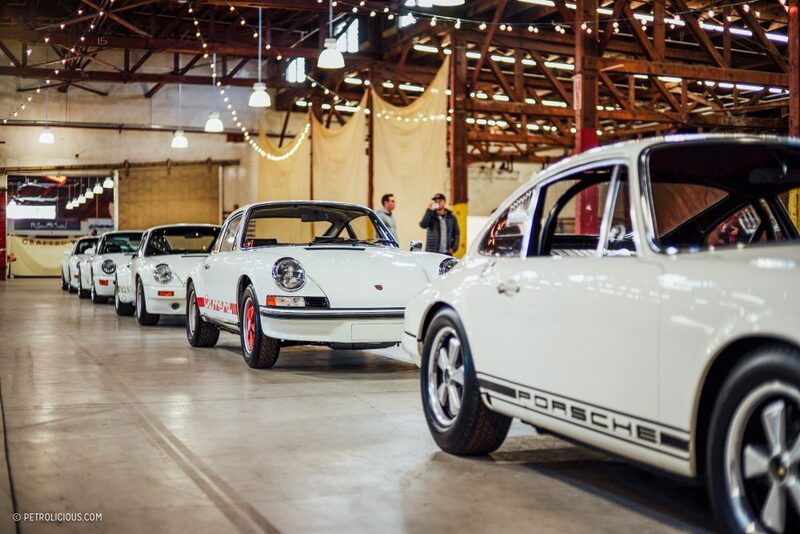 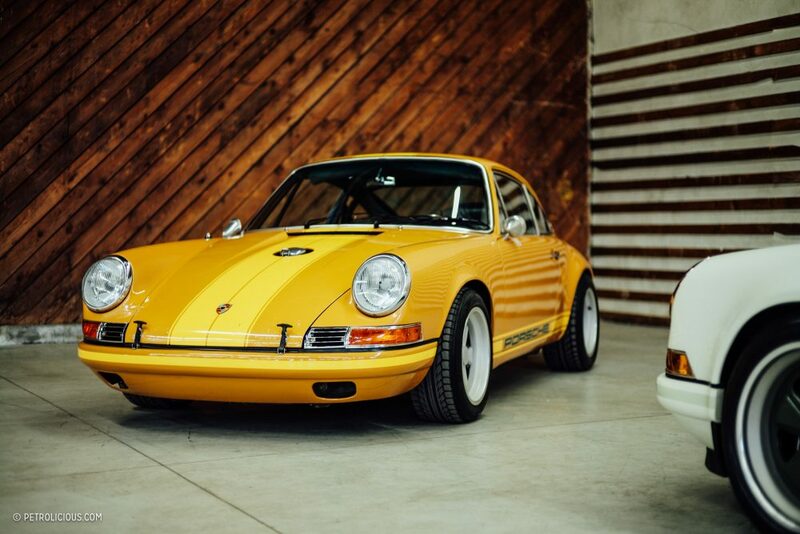 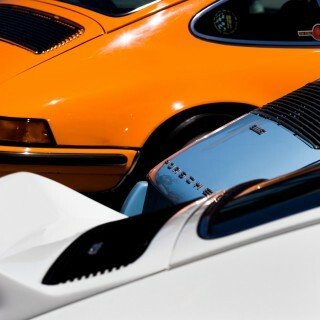 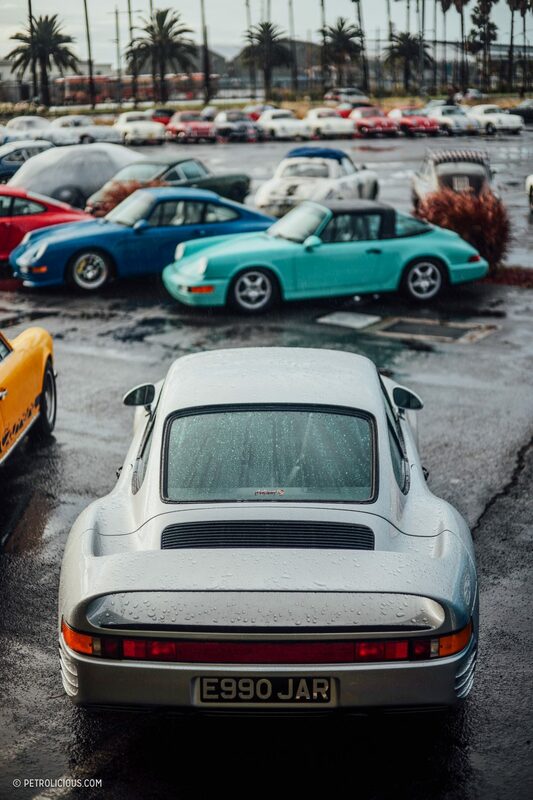 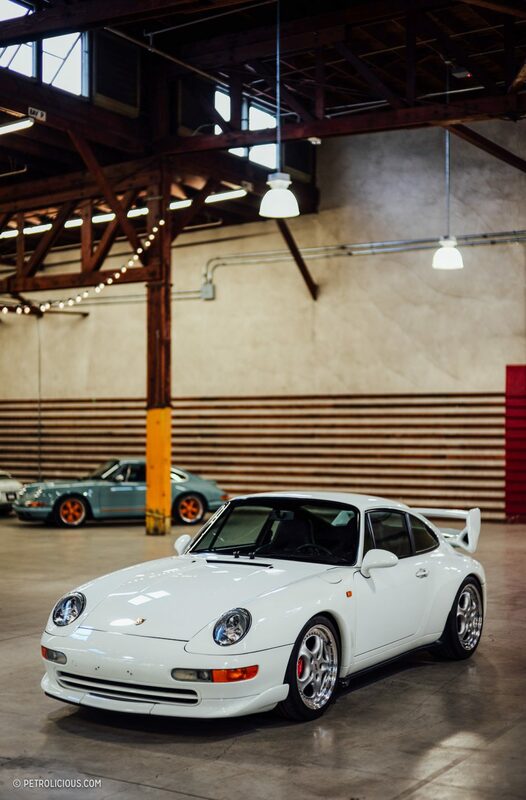 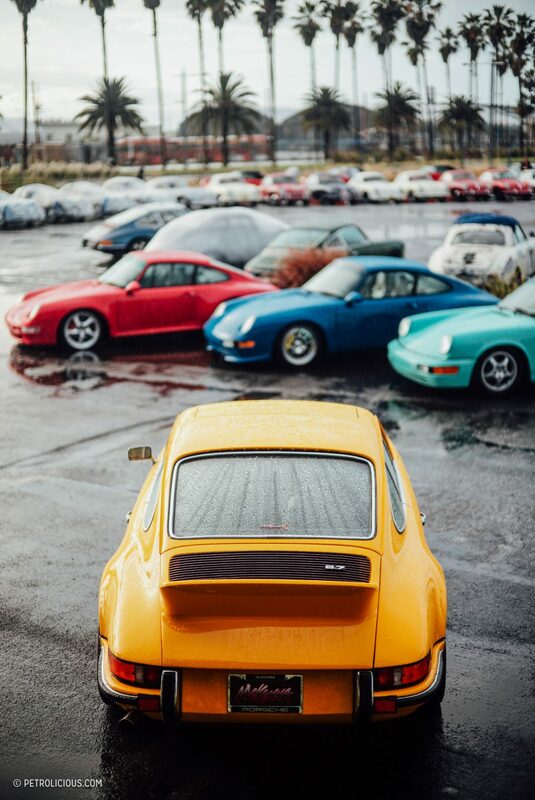 A Skittles ad’s worth of 964 RSes, 901s showcasing everything from showroom originality to the modded monsters of R Gruppe, and a gleaming white lineup to physically show the evolution of the air-cooled “R” models from the original 911R to the airplane-winged 993 RS are just a primer for the stacks of rows and columns of cars that were in attendance. 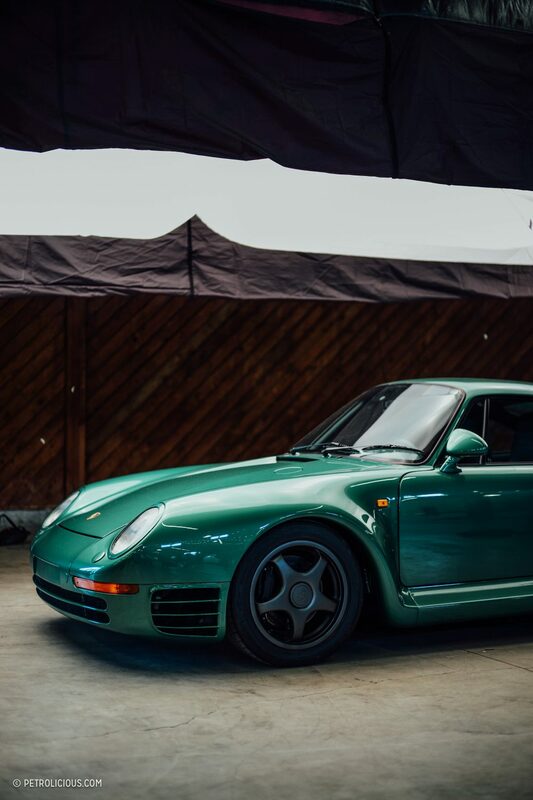 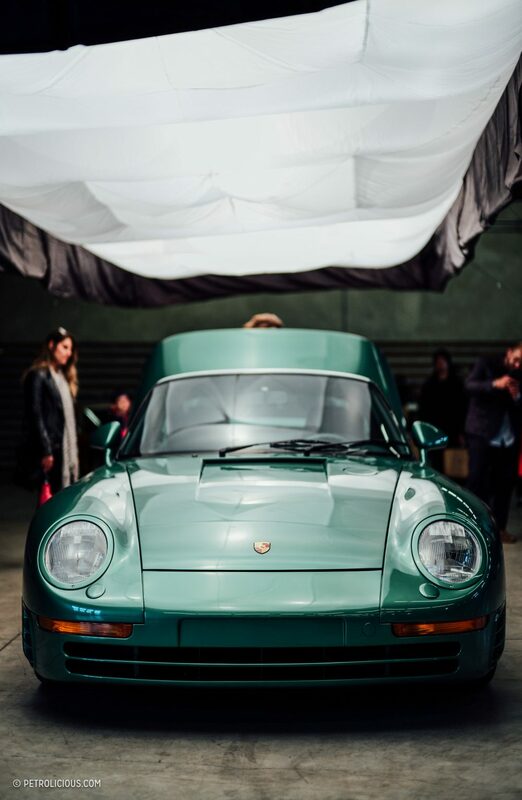 Cars like the deep metallic green Canepa “Generation III” 959 displaying its 763hp-producing power plant. 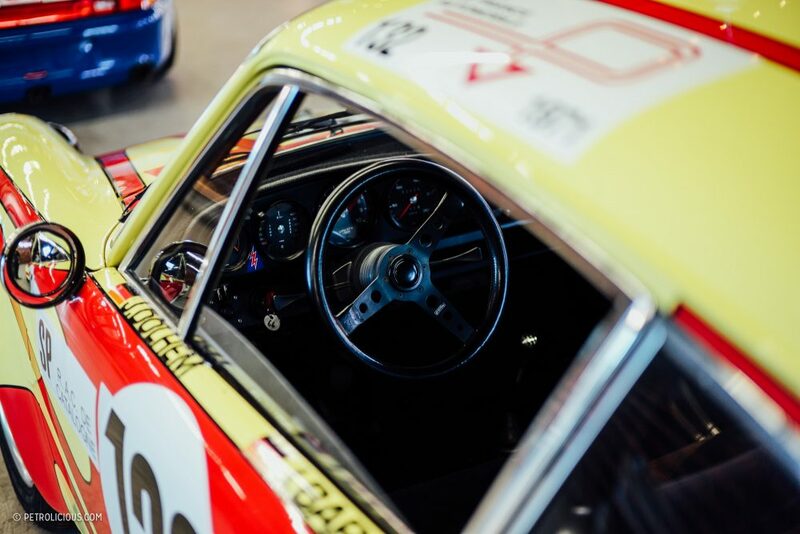 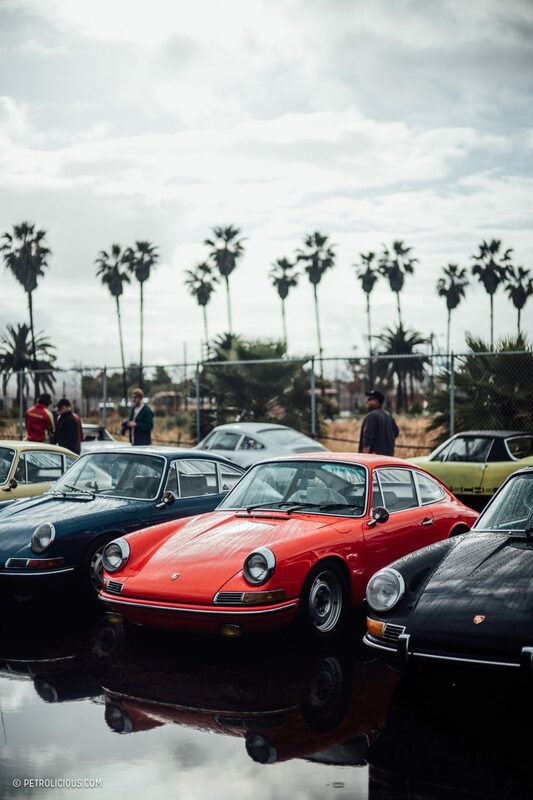 Walking through the welcomingly labyrinthian aisles of cars in the official and unofficial lots, little wafts of foreign language would come and go, signaling what many are already privy to: this is a Porsche event to rival any in the world. 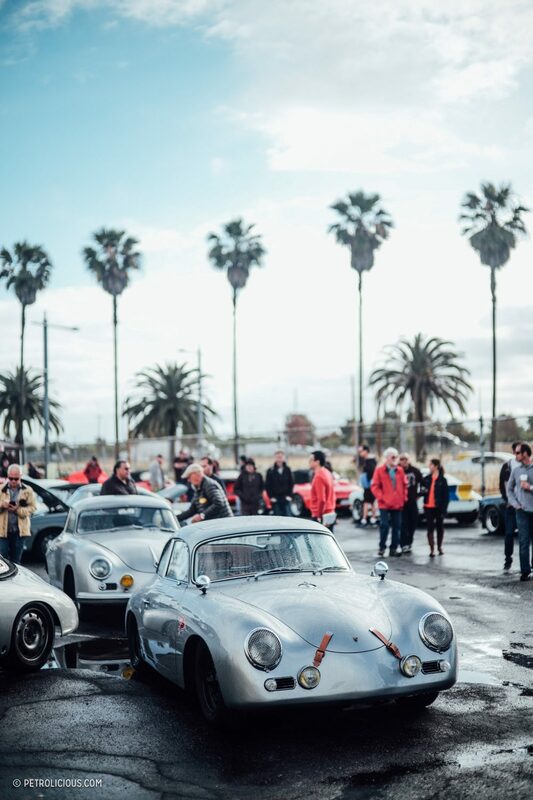 A truly international day in the calendars of those in pursuit of the early P-car. 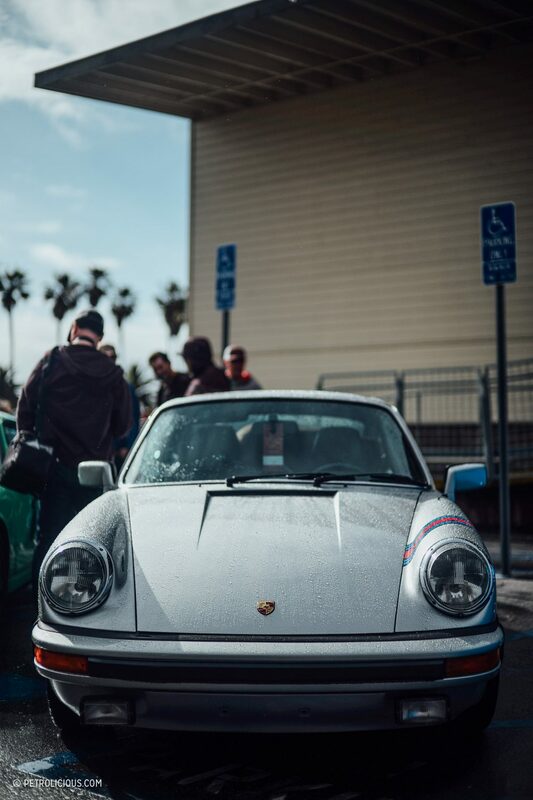 And how could it not be? 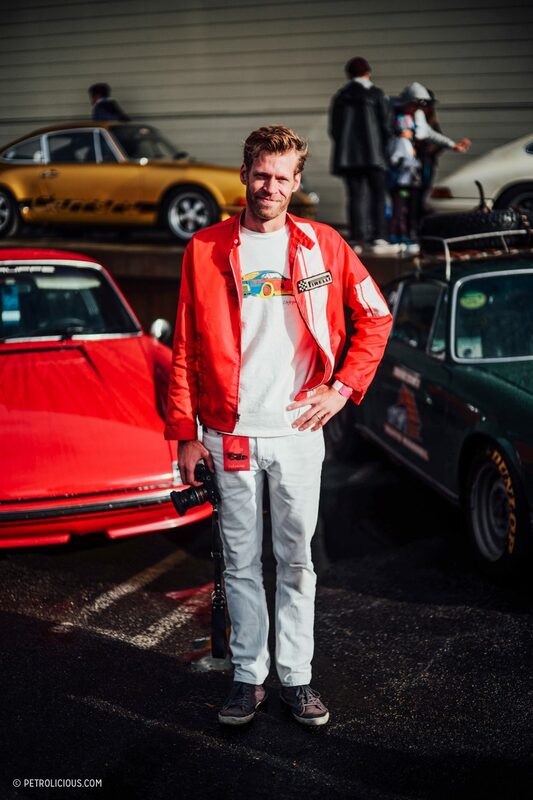 After all, co-founder Patrick Long has raced a Porsche to class victory at the 24 Hours of Le Mans, so it’s not like this is an insular event hosted by people who just happen to be “in the area.” There are already pre-Luft parties and gatherings during the show’s preceding days, and it will come as no surprise to me once this event attains the status wherein those making a pilgrimage need to book their hotels far ahead of time. 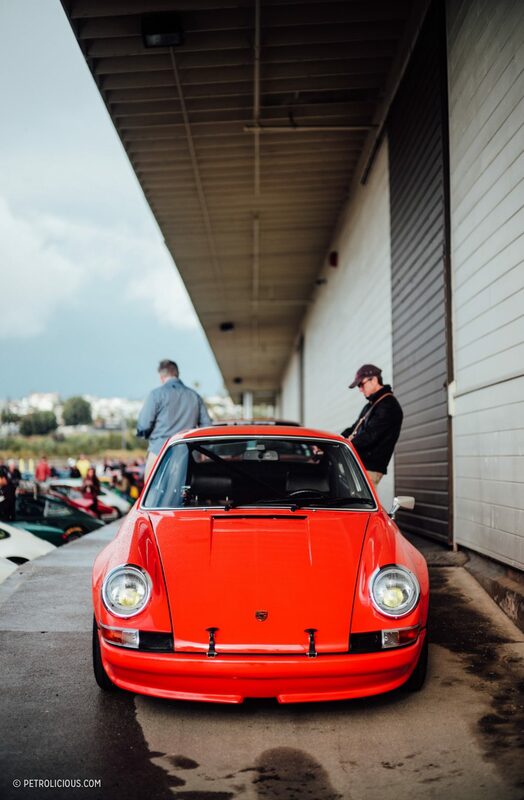 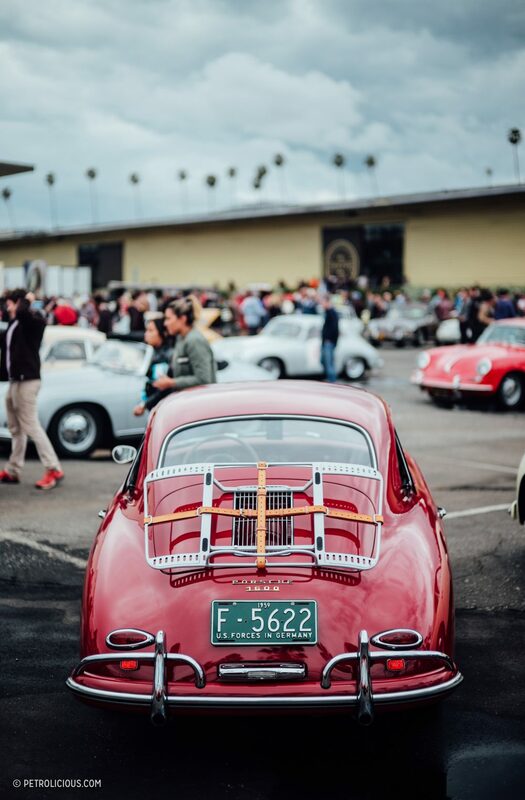 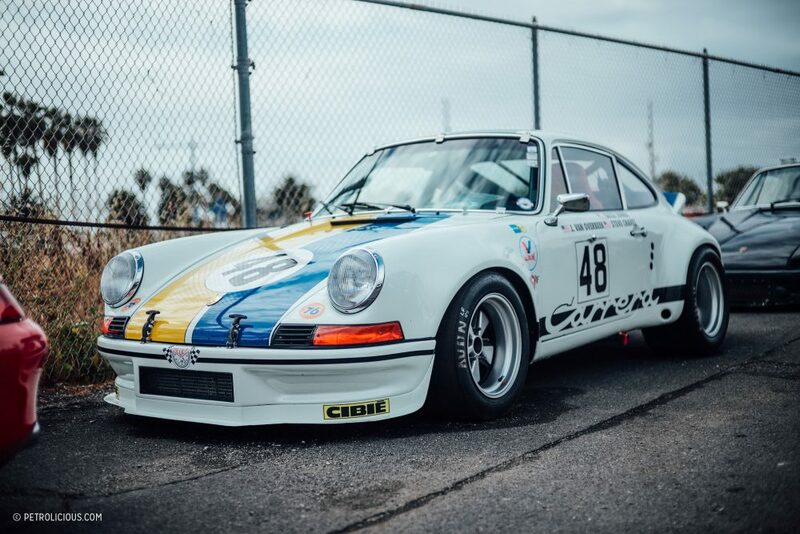 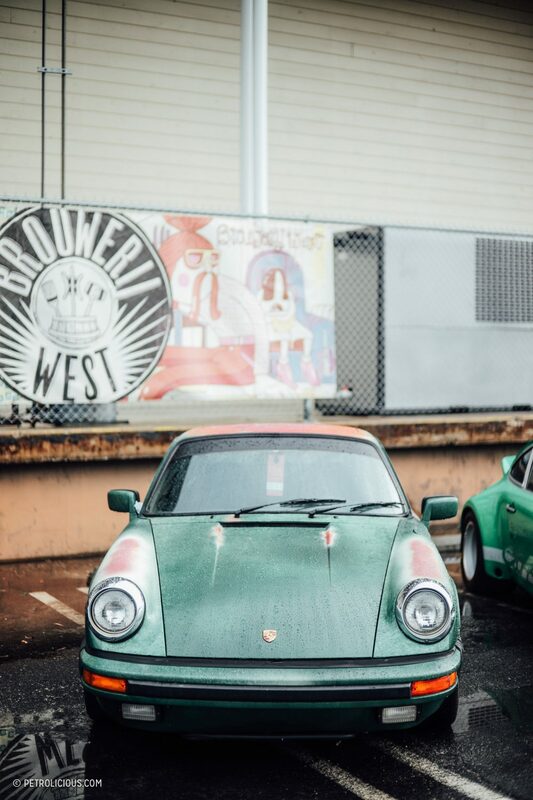 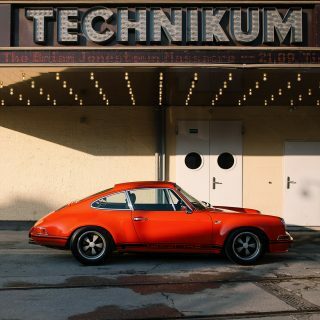 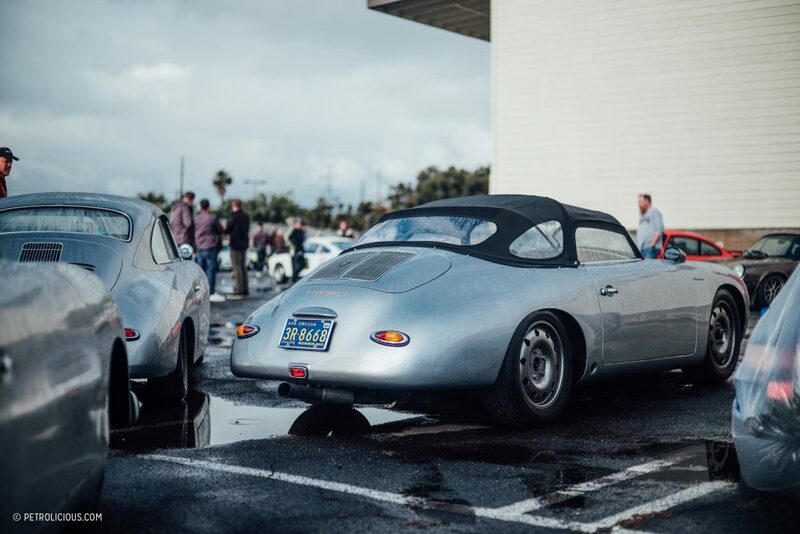 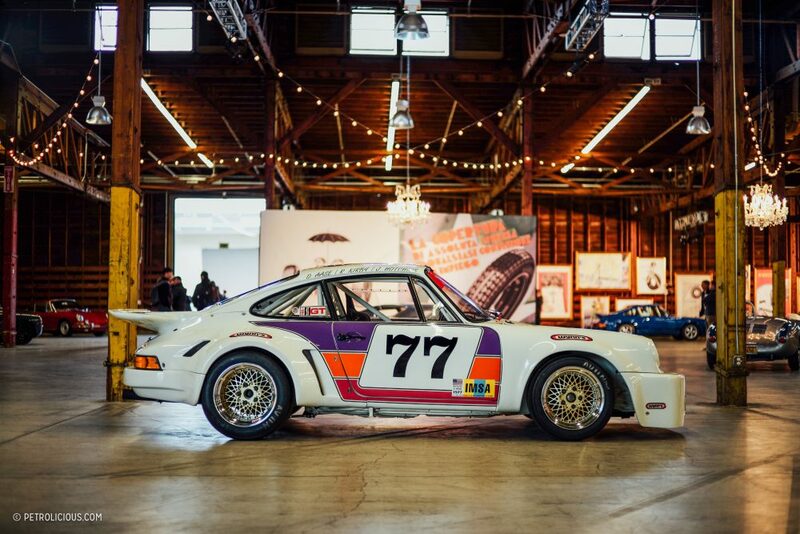 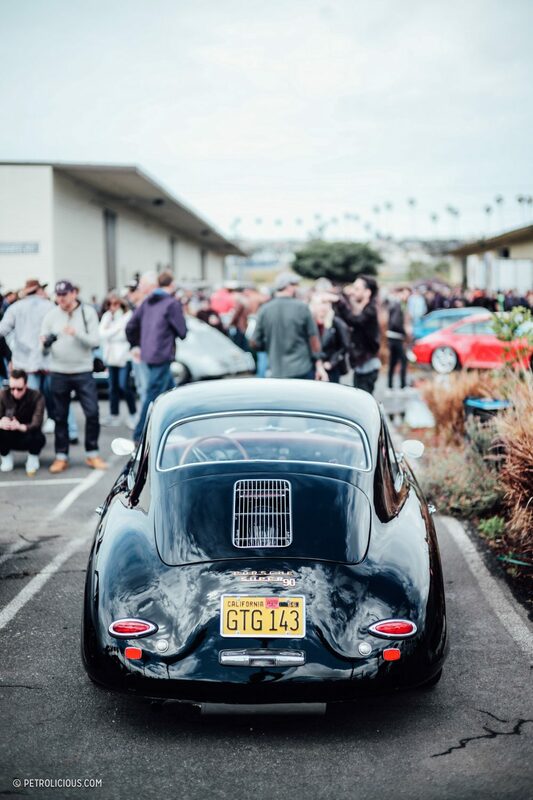 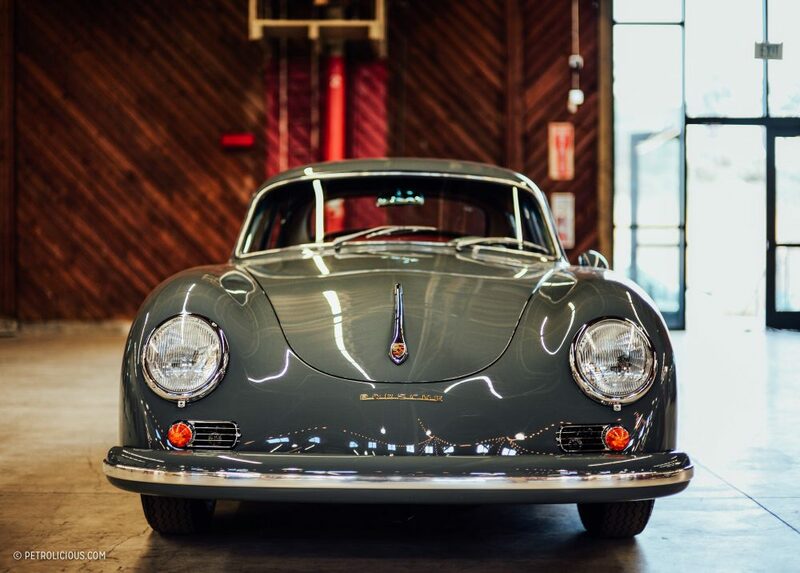 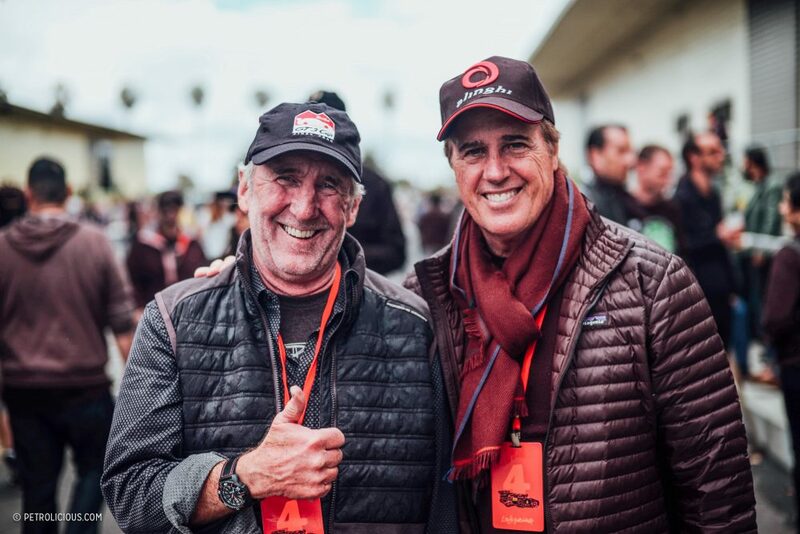 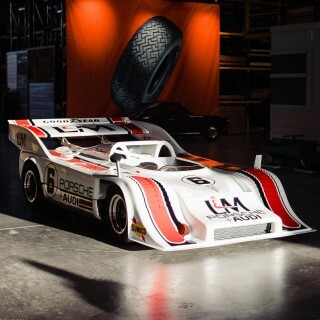 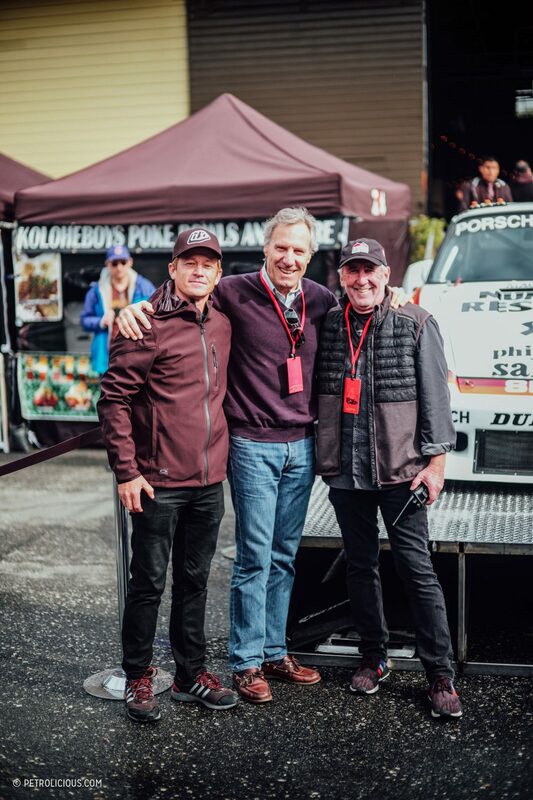 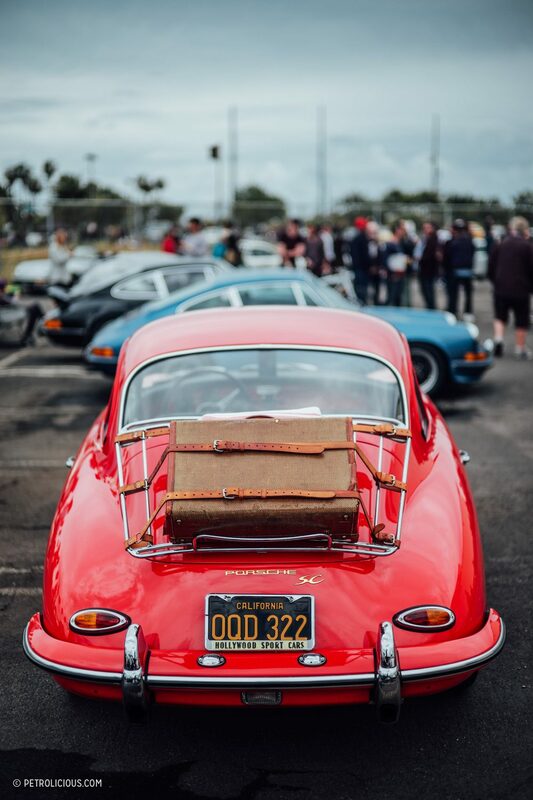 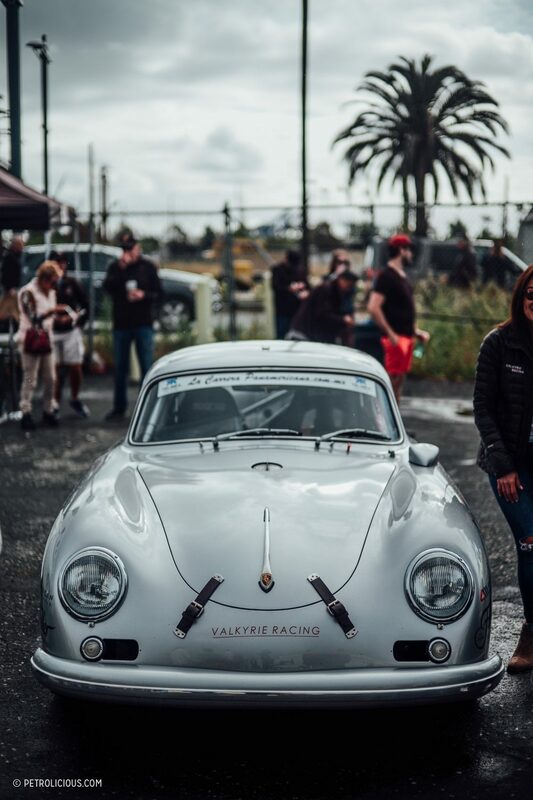 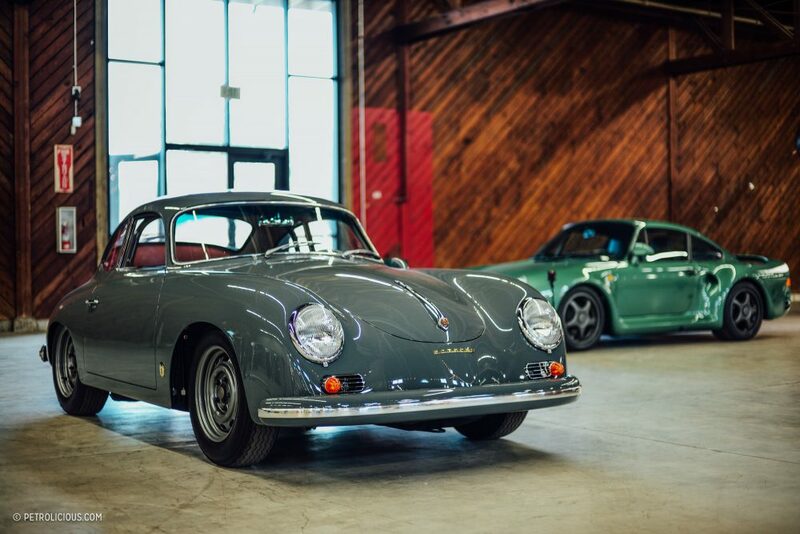 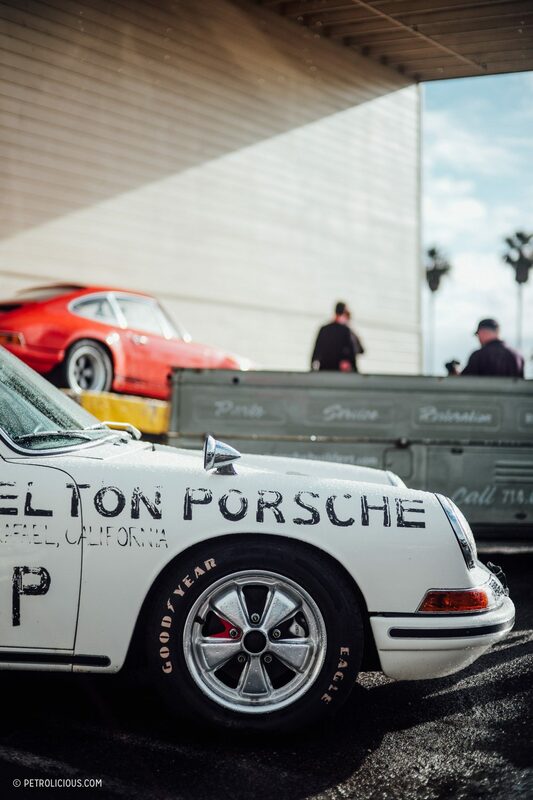 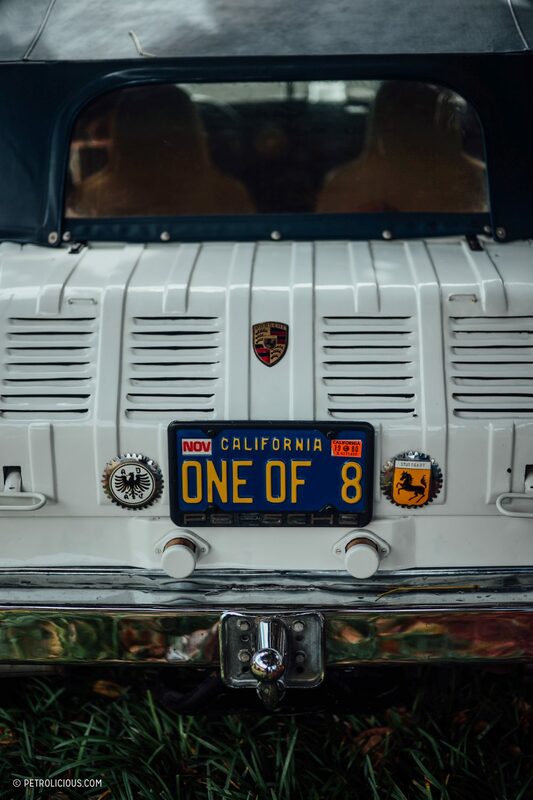 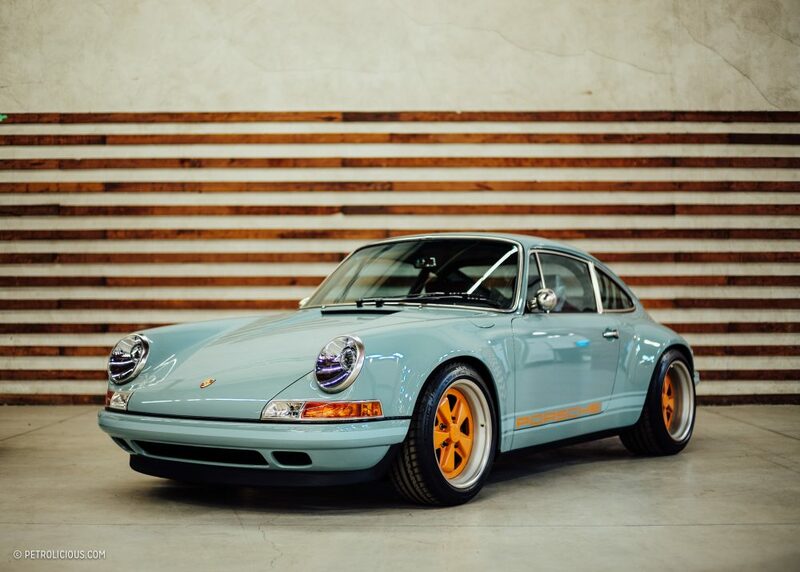 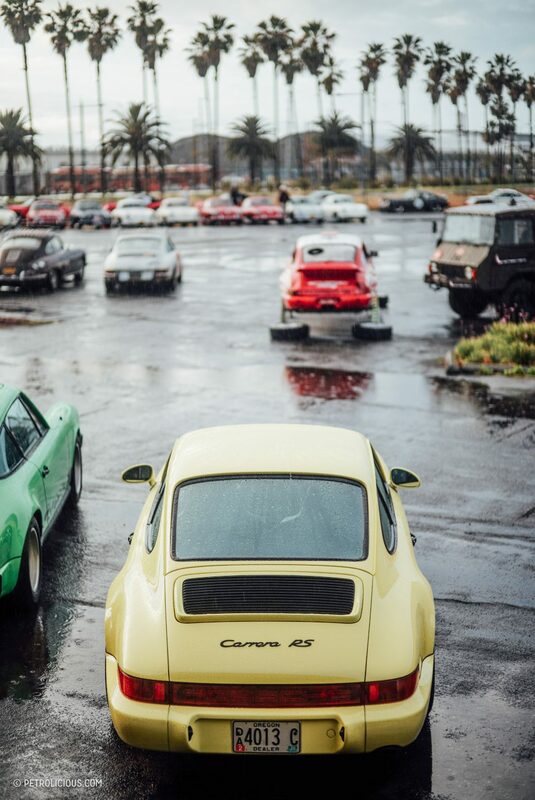 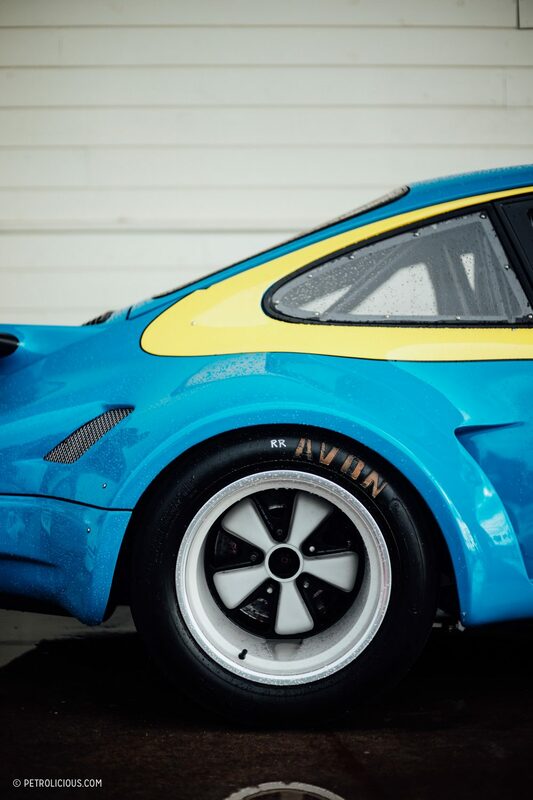 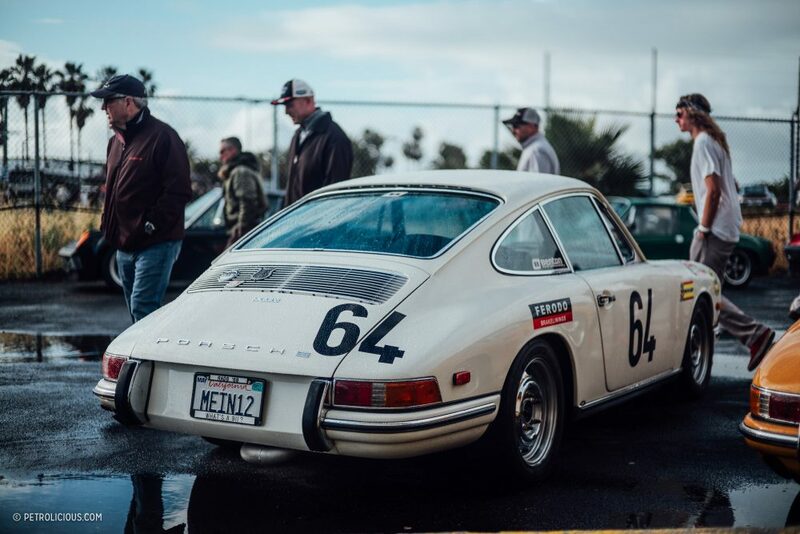 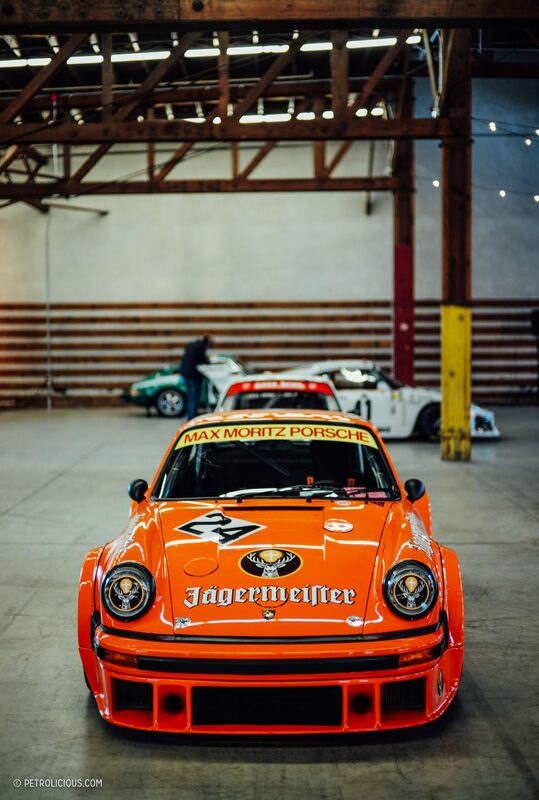 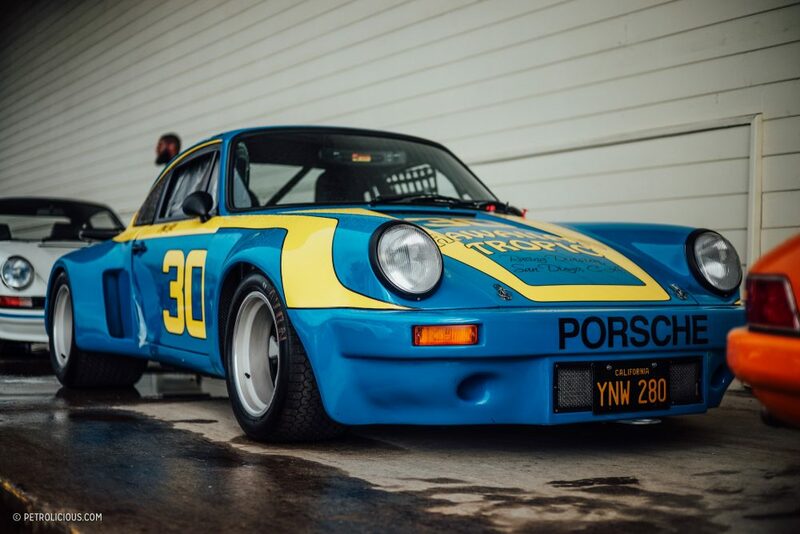 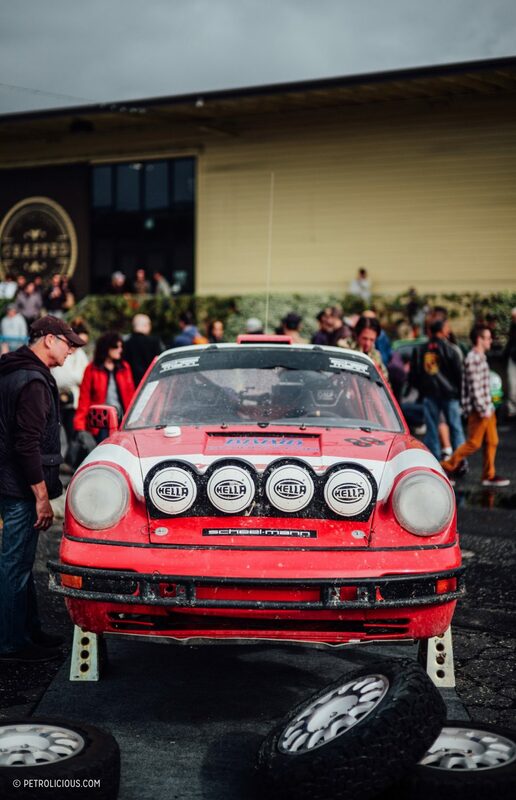 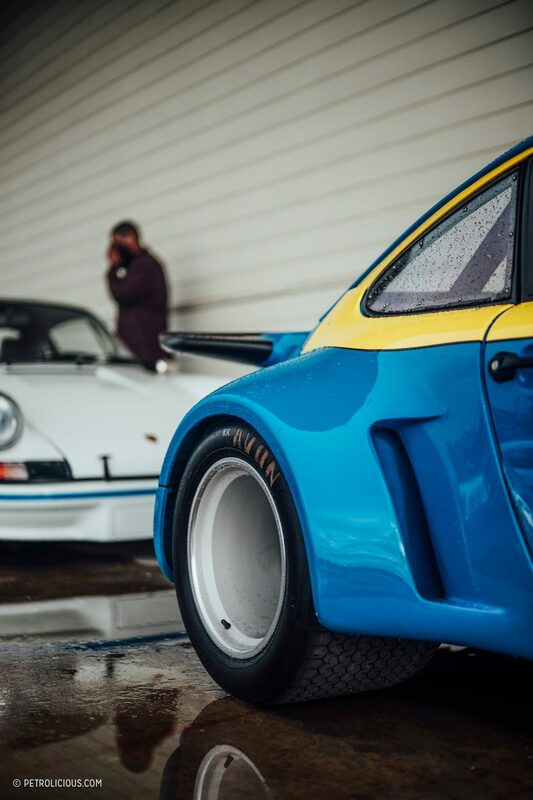 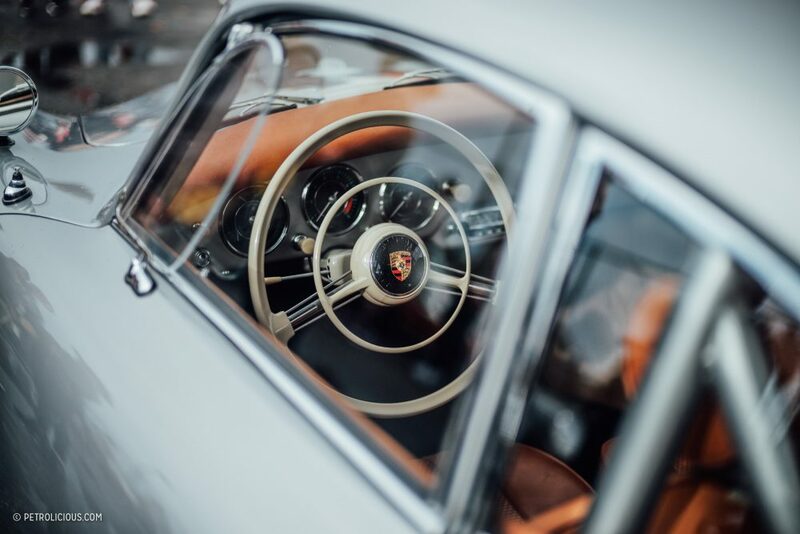 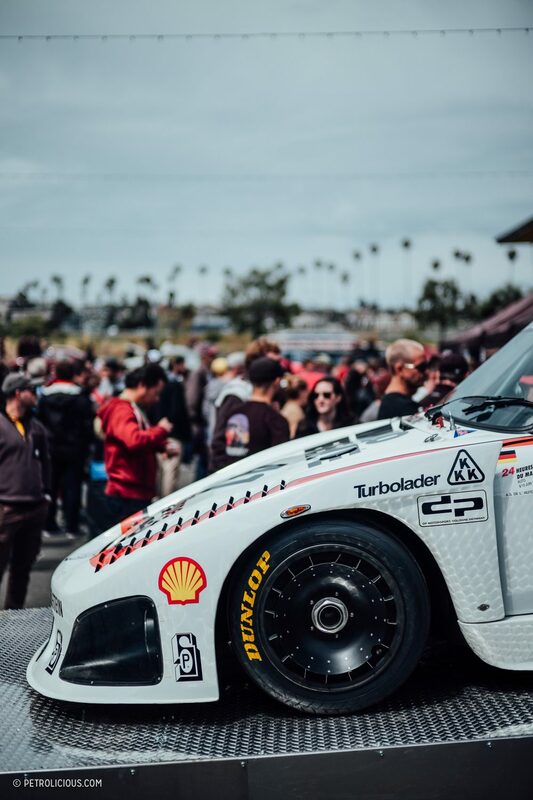 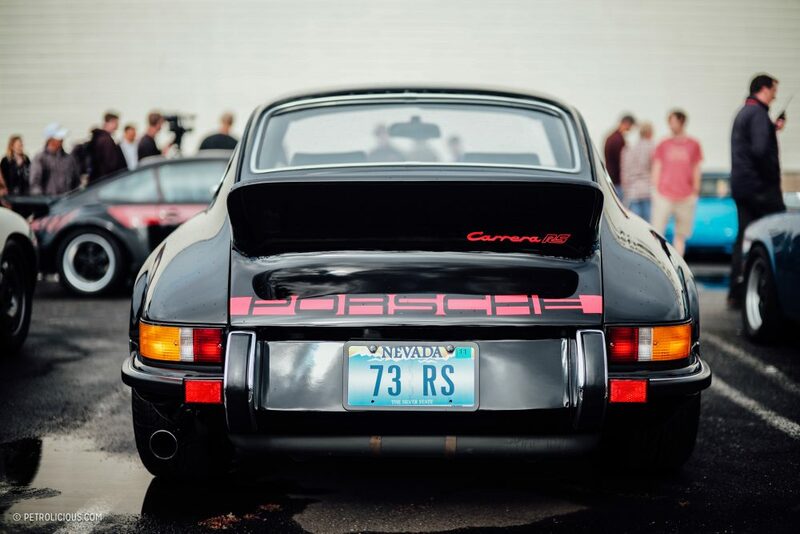 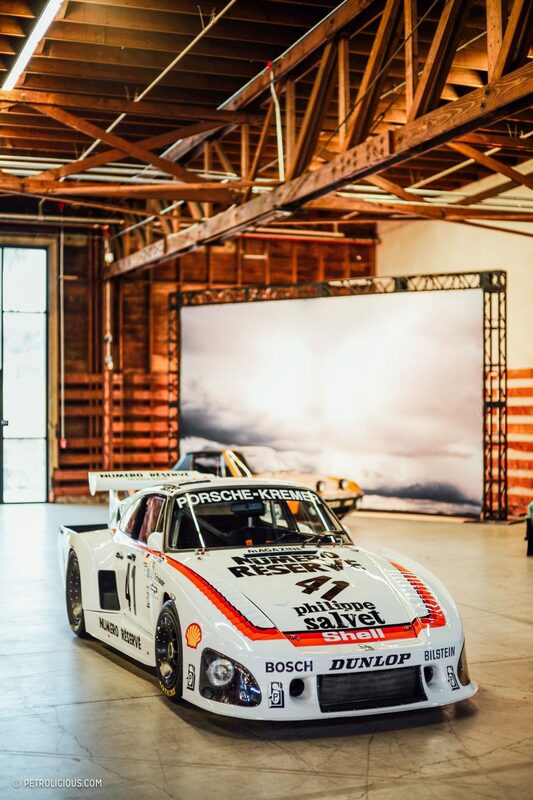 Patrick Long and Howie Idelson’s celebration of the people and their Porsche-powered pursuit of automotive nirvana has captivated from the start, and just a few years on has proved itself worthy of the heaps of hype. 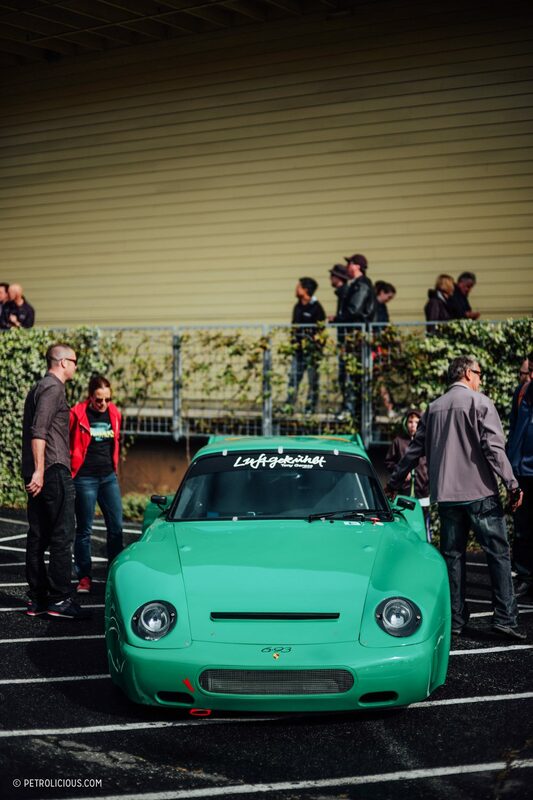 It isn’t hard to see why. 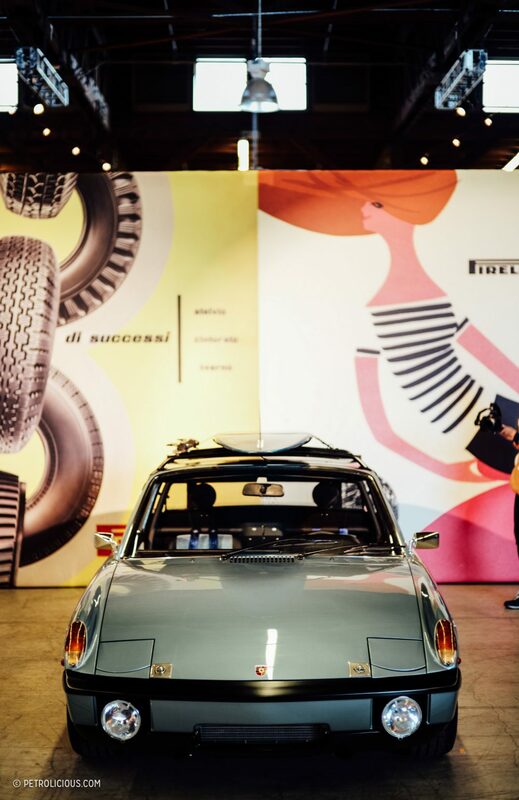 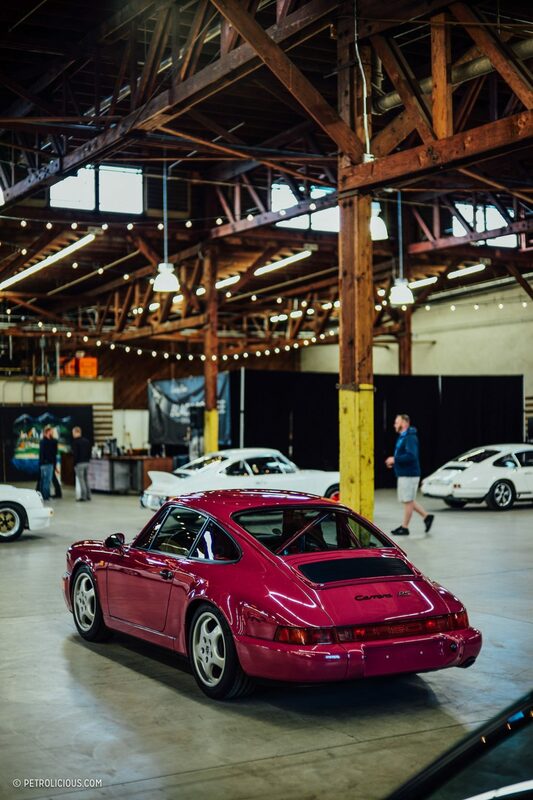 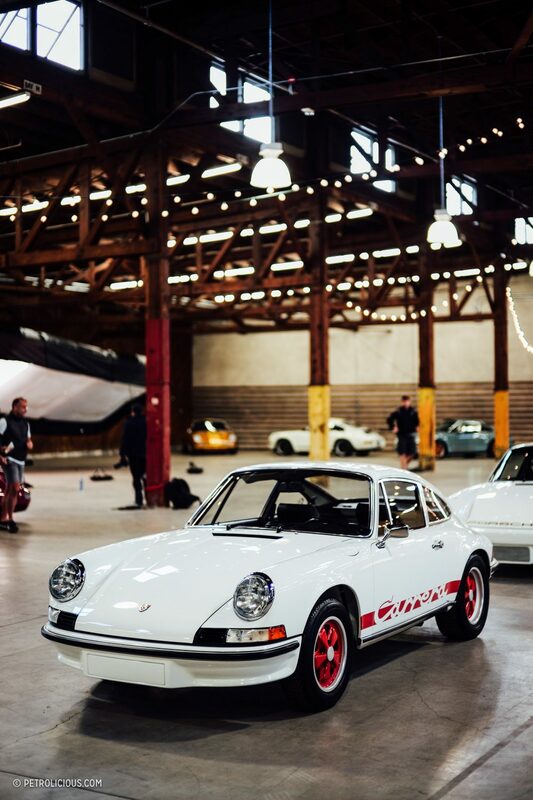 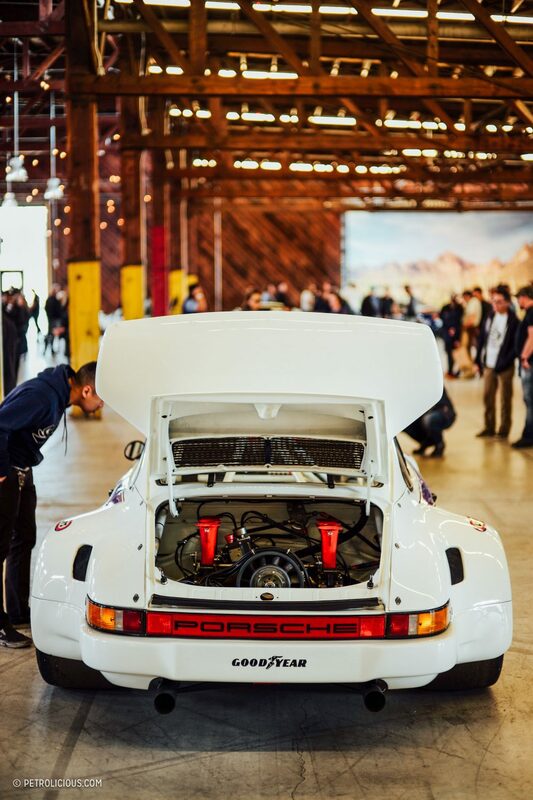 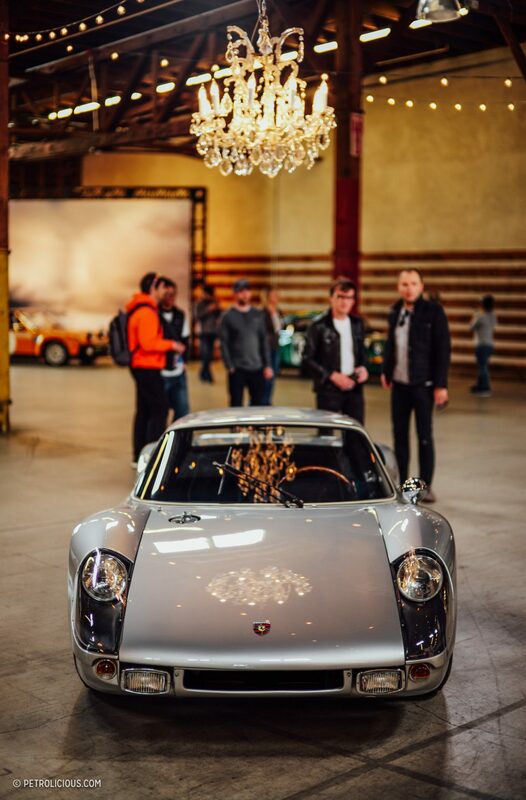 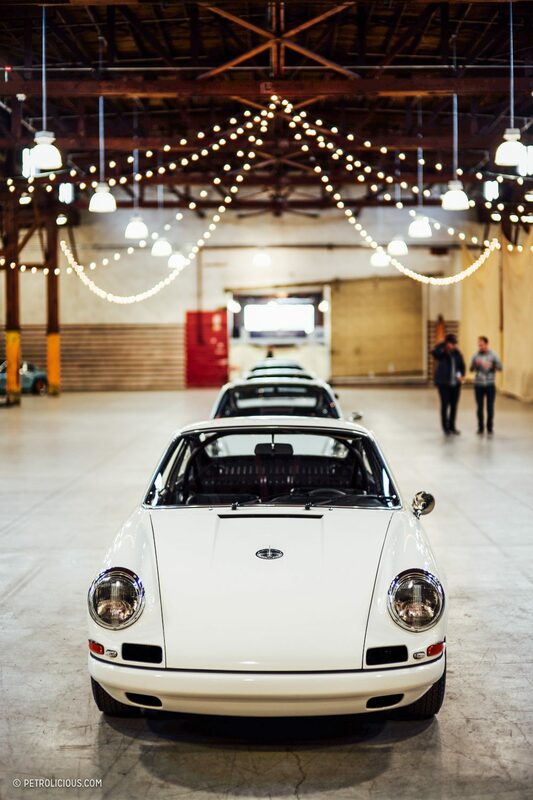 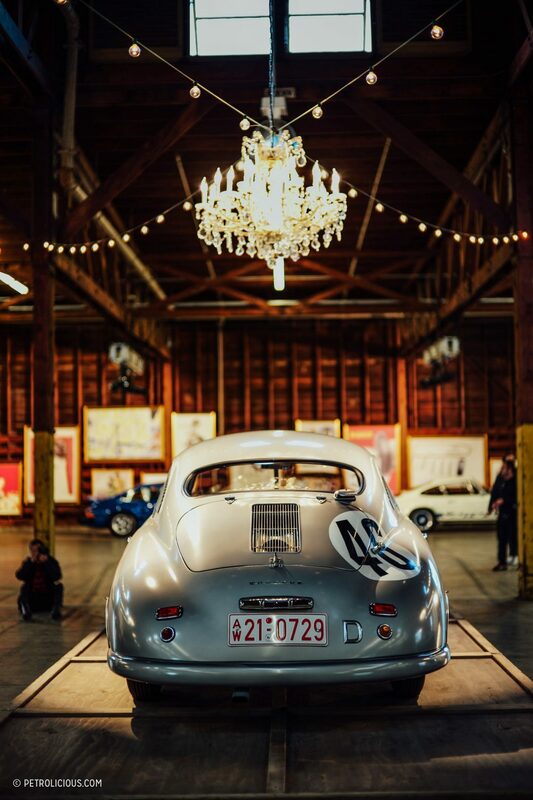 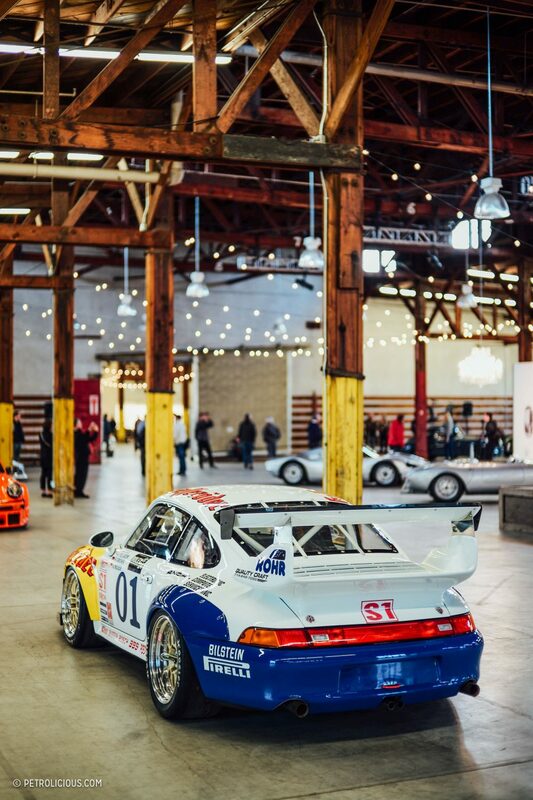 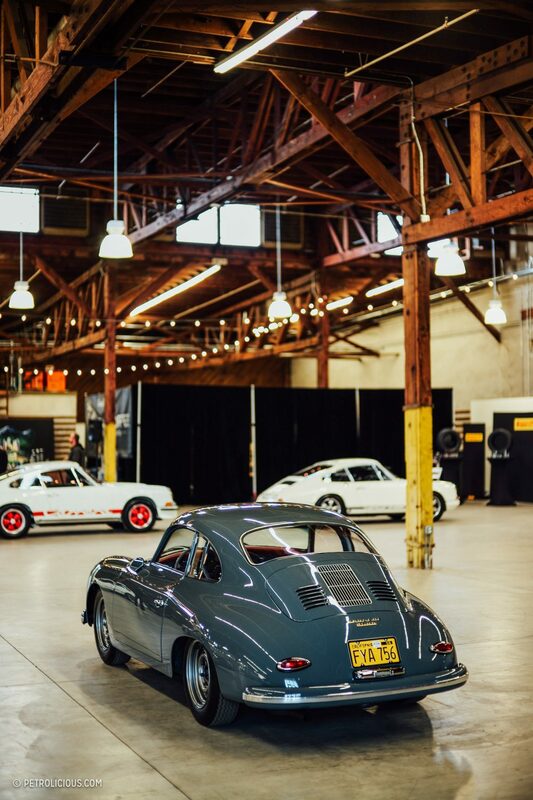 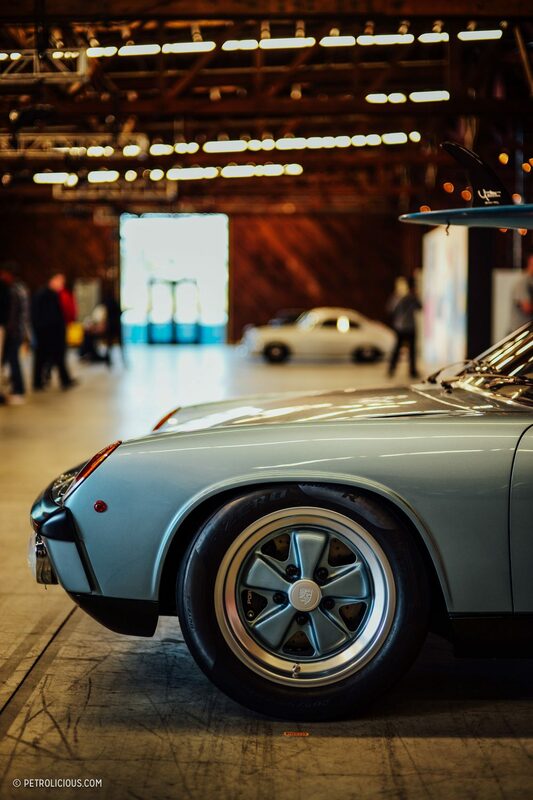 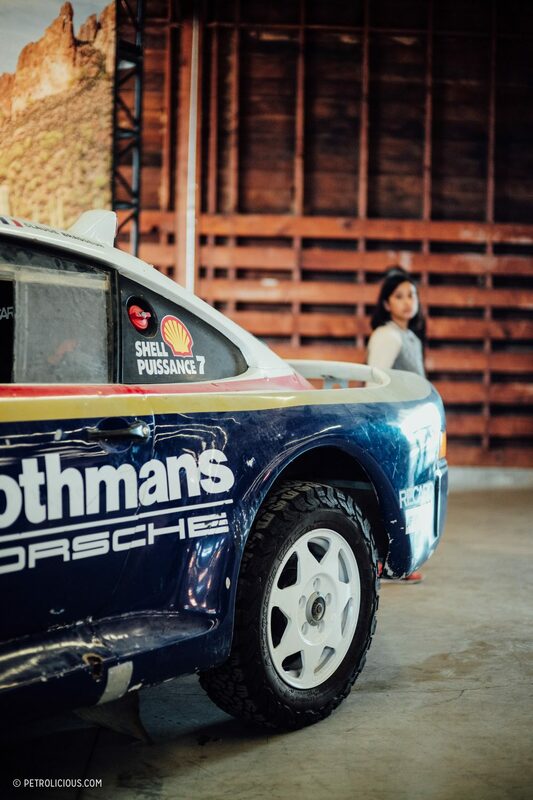 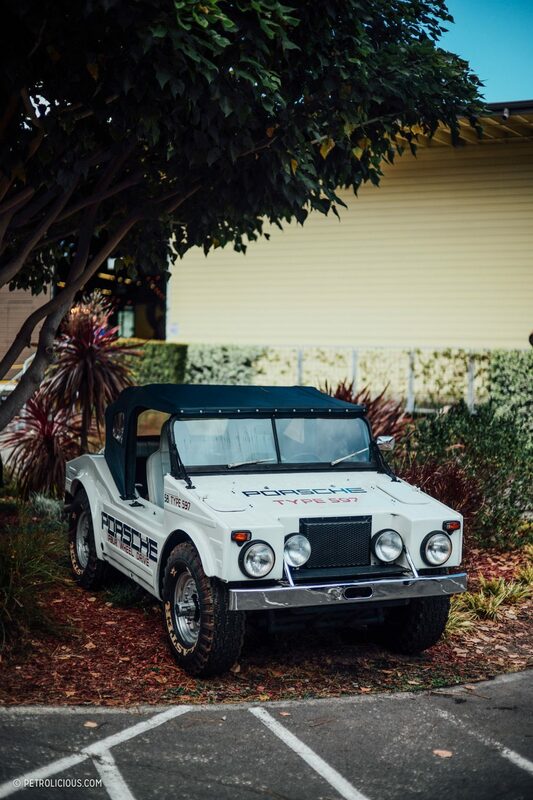 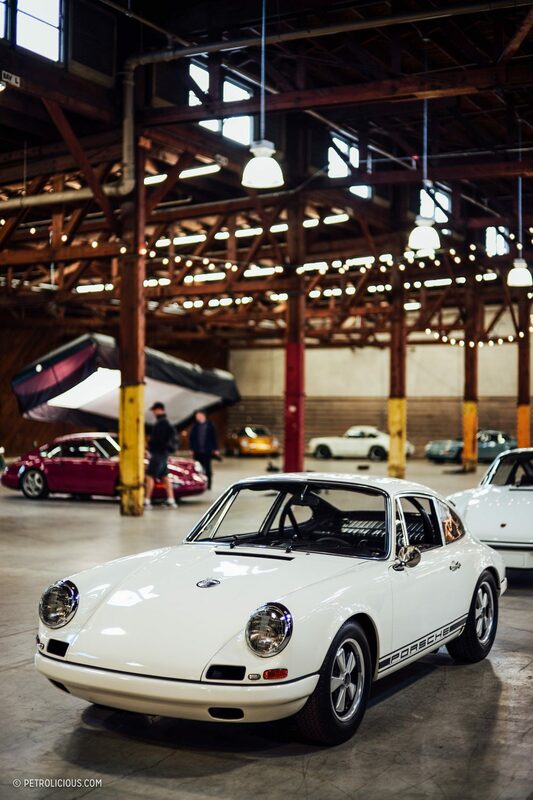 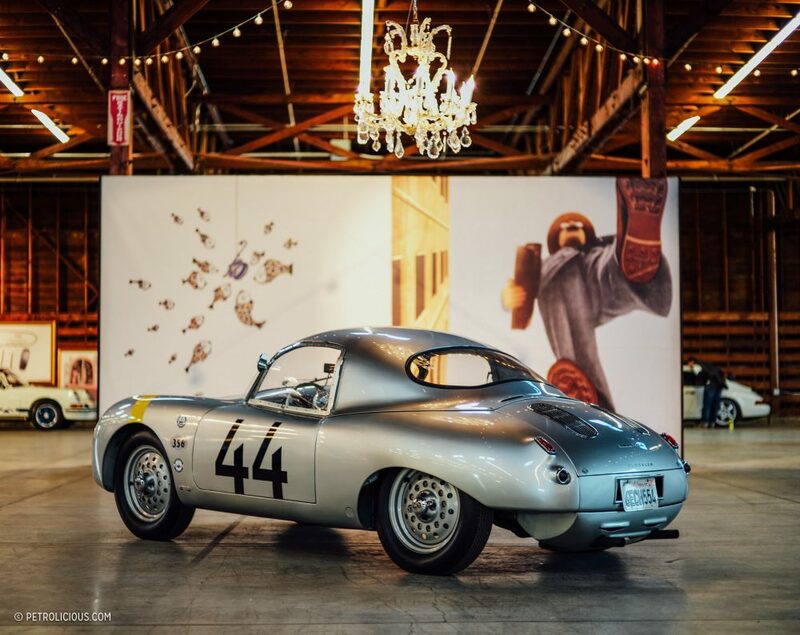 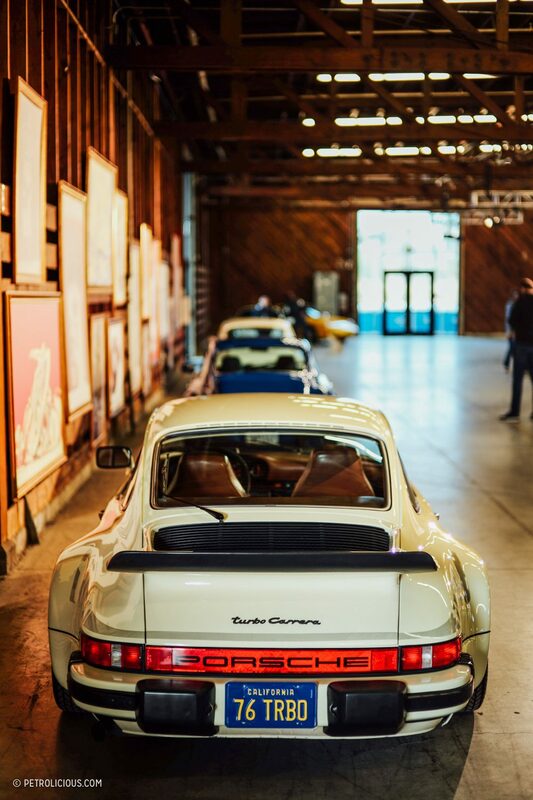 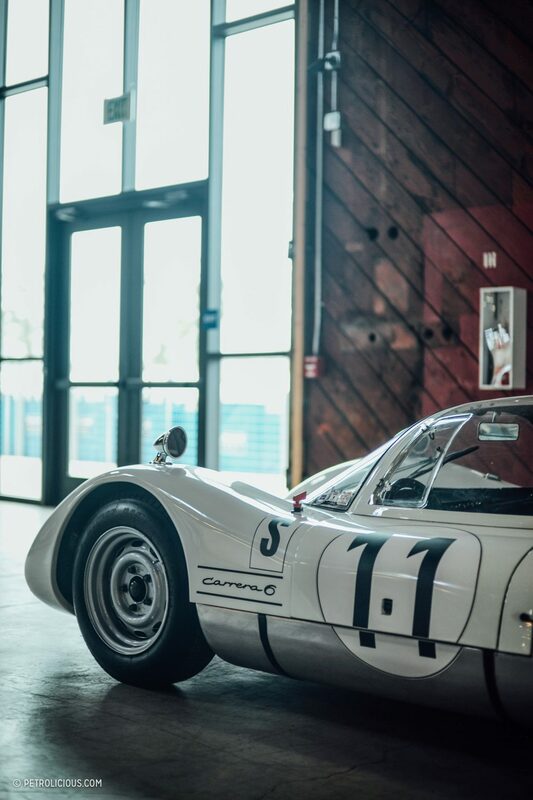 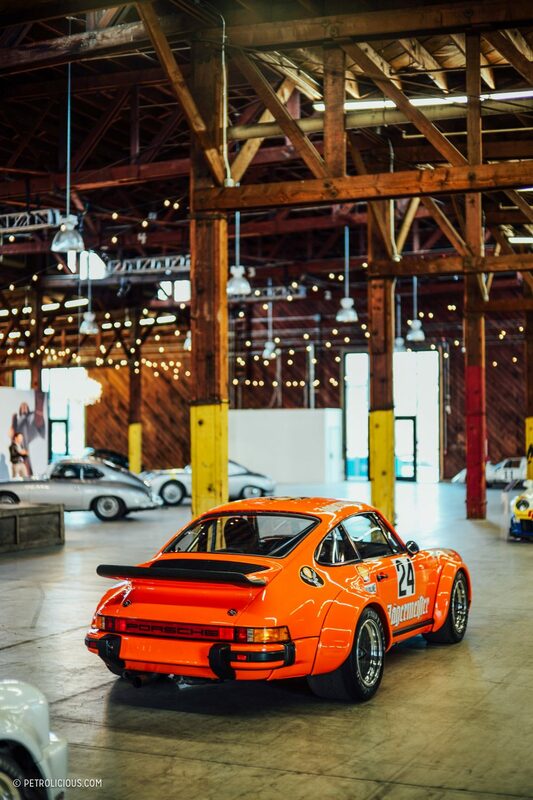 @Petrolicious and @TedGushue, with high regards and cap in hand, it would be good to give @HeathMattioli credit on the incredible theatrical set design he did in the warehouses…thanks in advance for doing as such, but as well, for your coverage of the event! 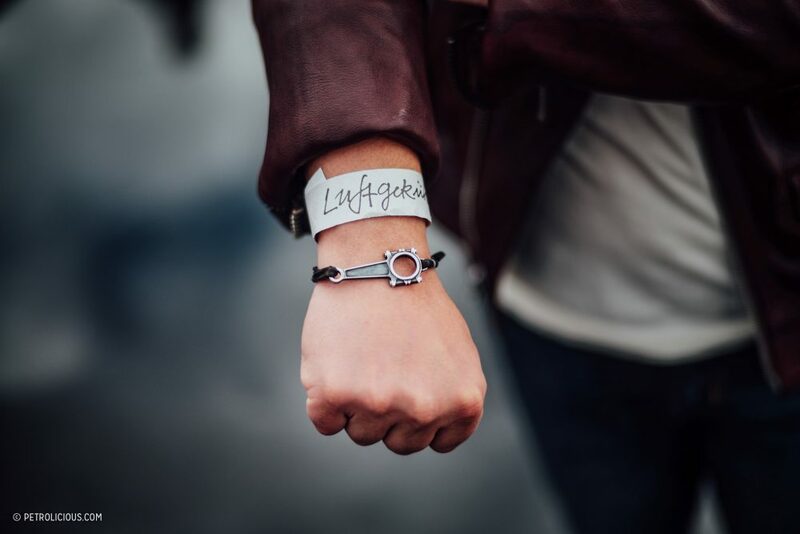 Yes, I was thinking about this while going through the photographs. 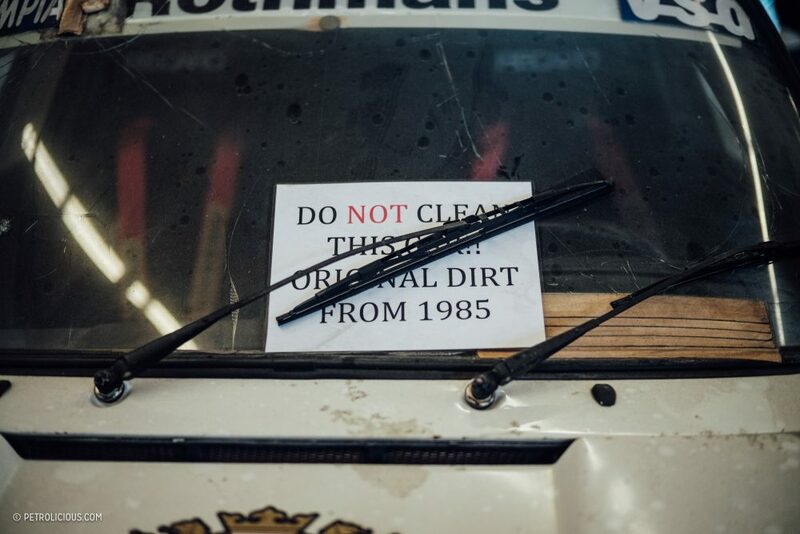 I was thinking about the careful thought and planning involved. 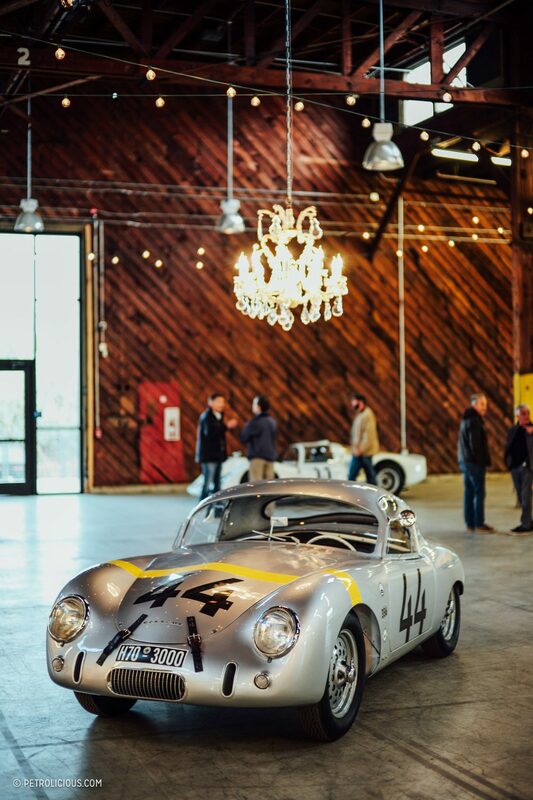 It looks like a genuinely nice event to attend. 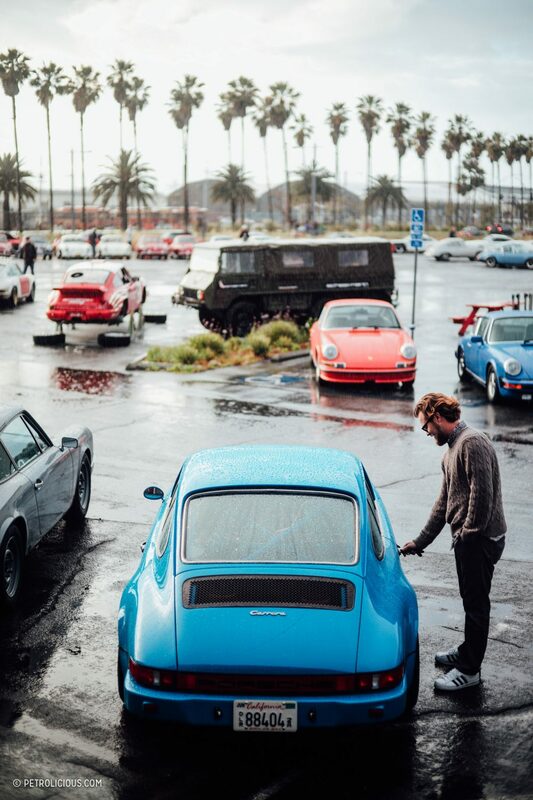 potentially the worst opening sentence to a slam-dunk article, ever. 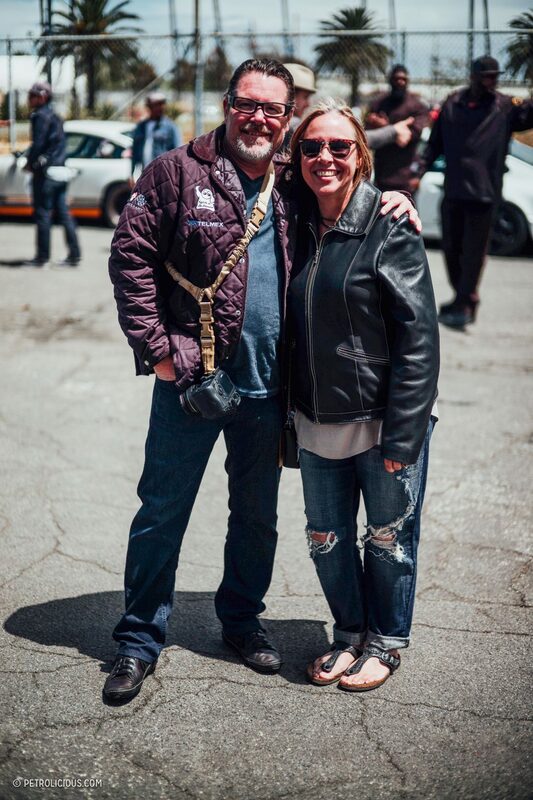 the deft photo journalism of Gushue’s is the sweet balm for the wanting petrolicous editorial yet again! 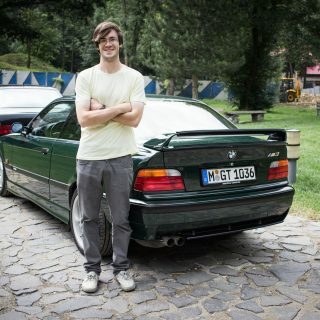 sheesh too harsh, i feel bad, sorry Alex! 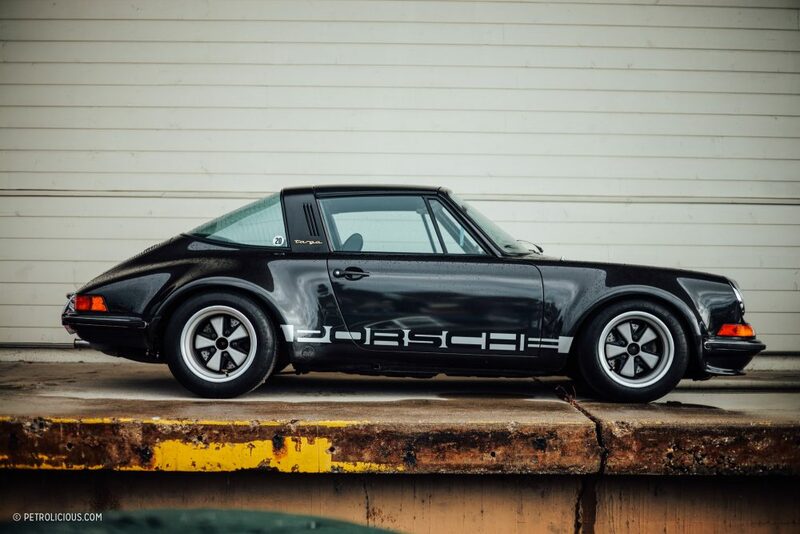 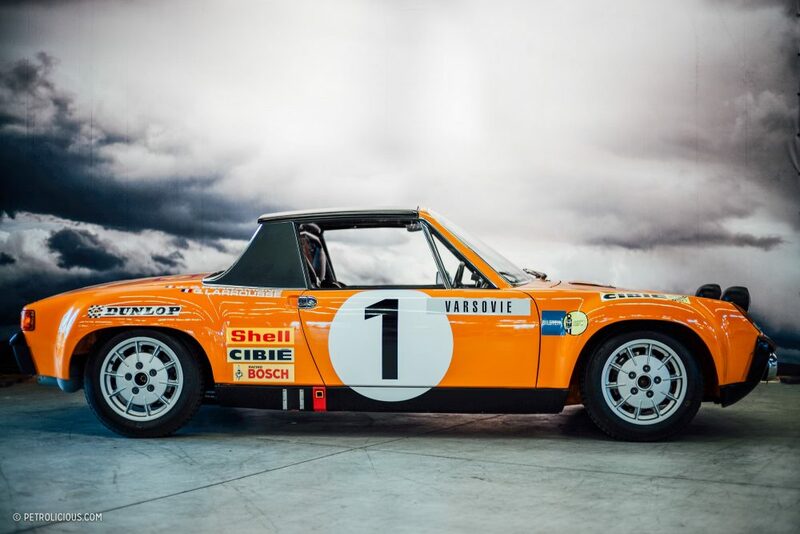 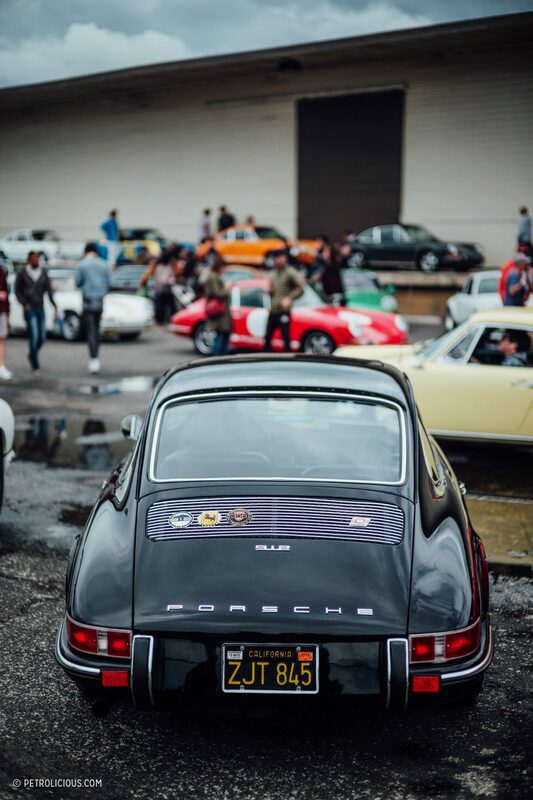 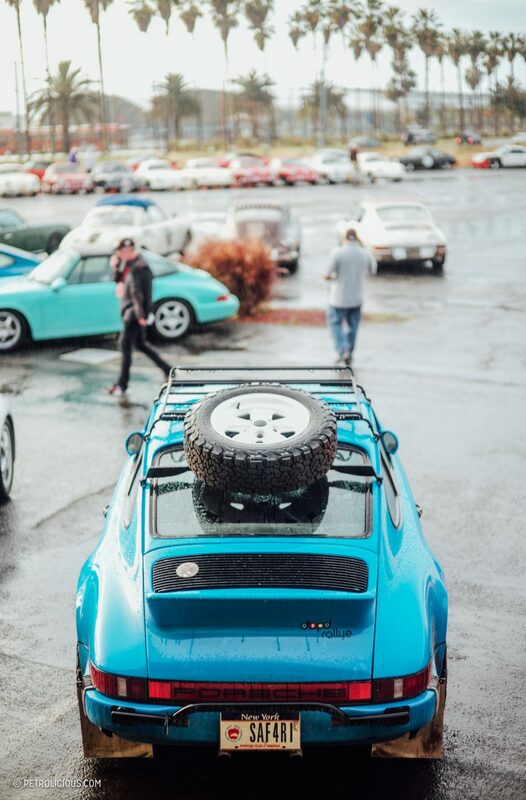 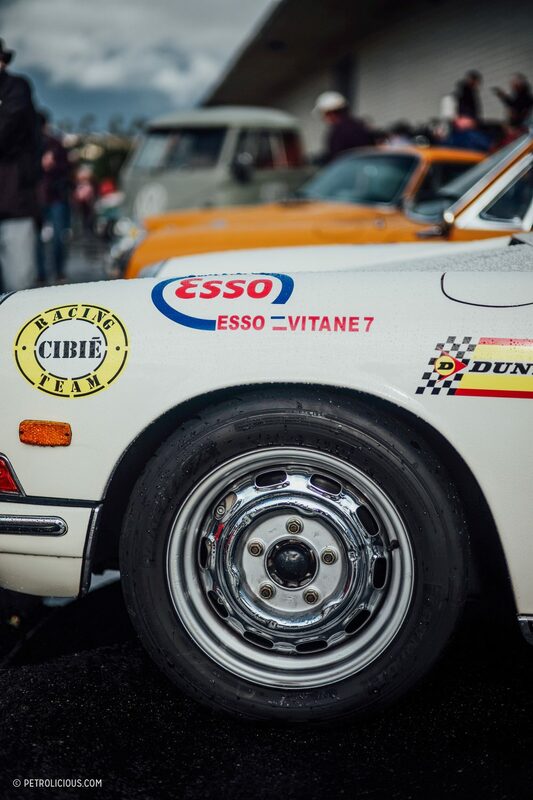 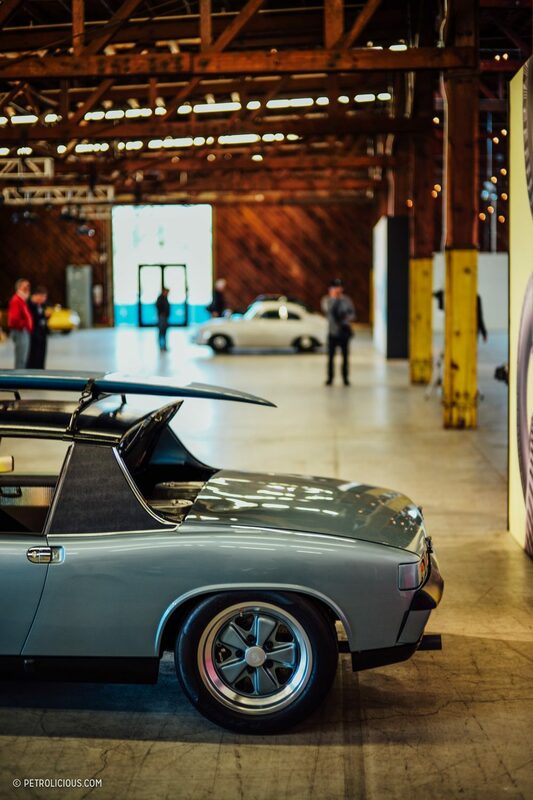 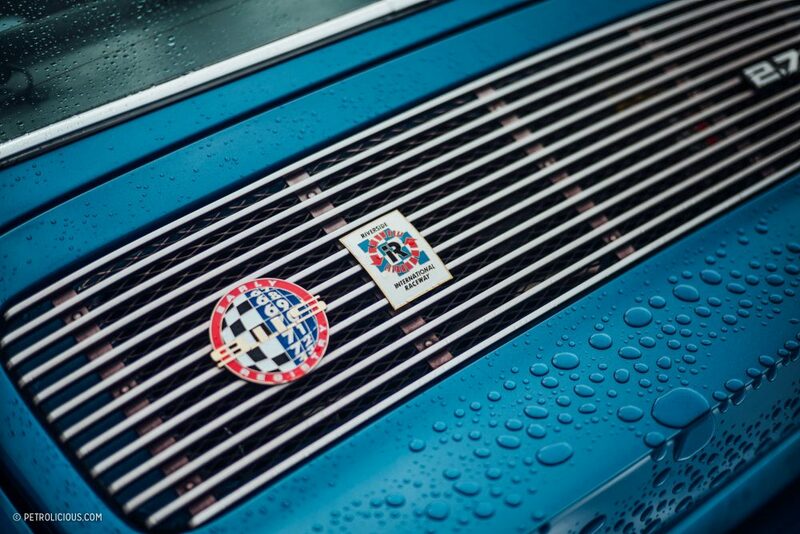 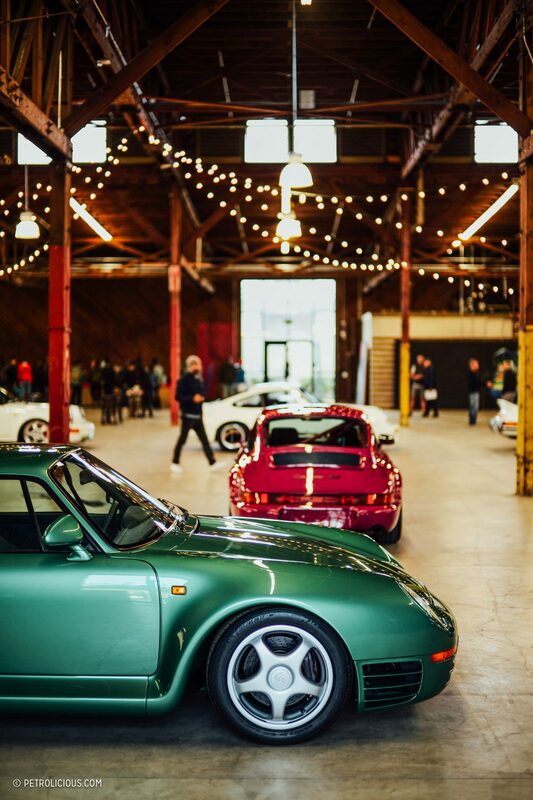 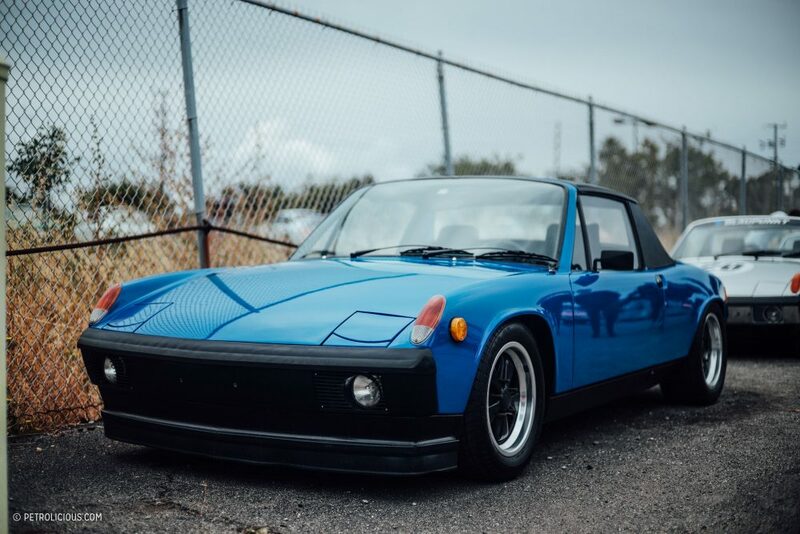 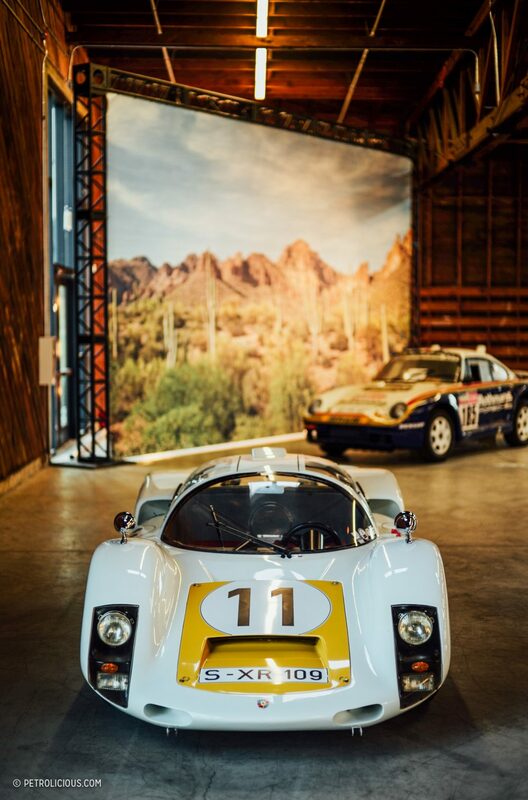 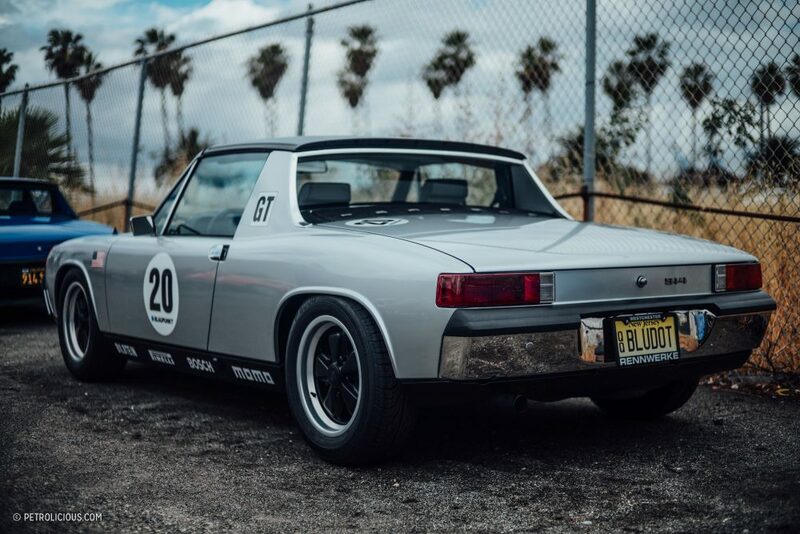 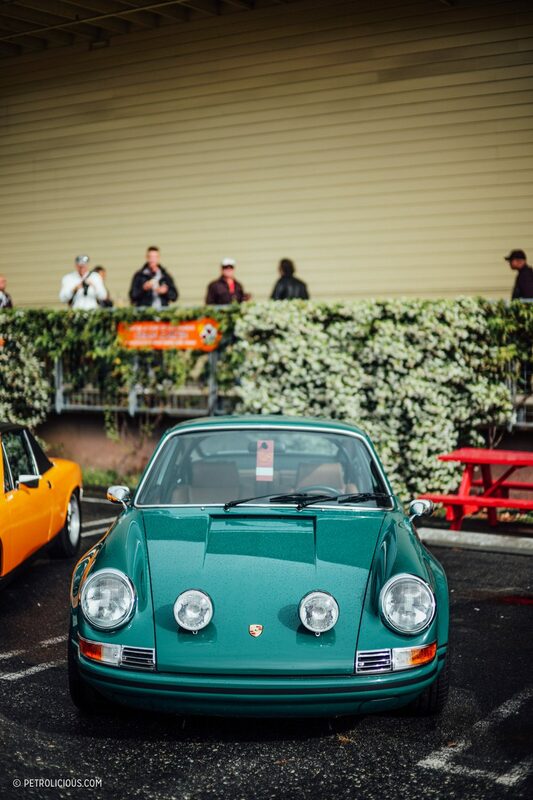 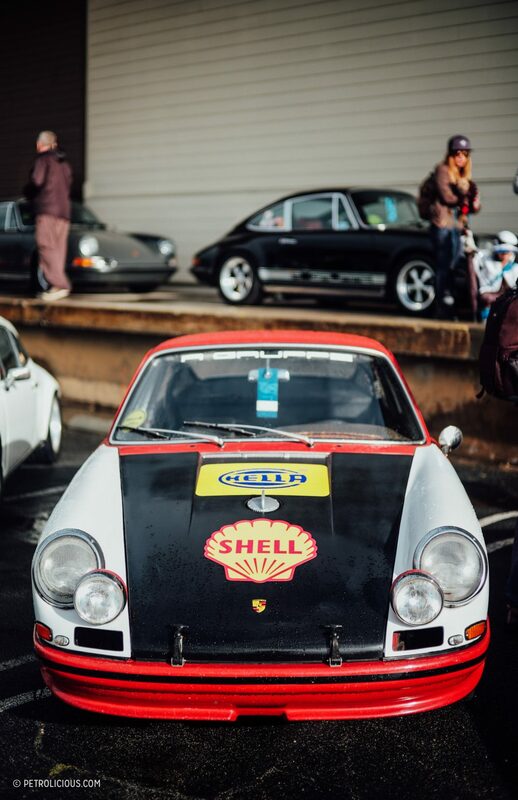 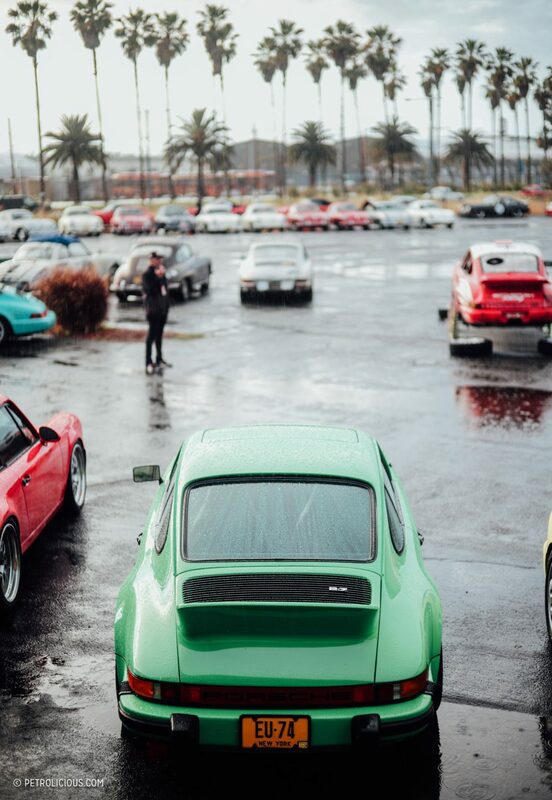 Thrilled to see the event and the photographer included some of the “lowly” 914. 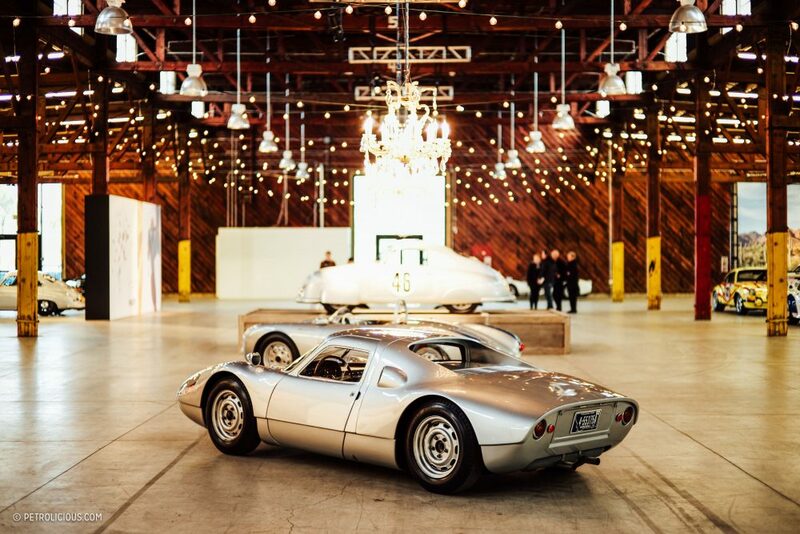 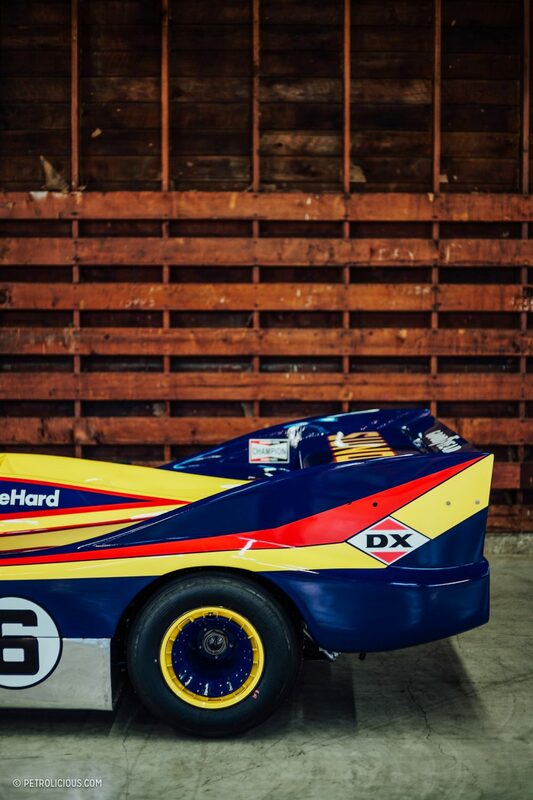 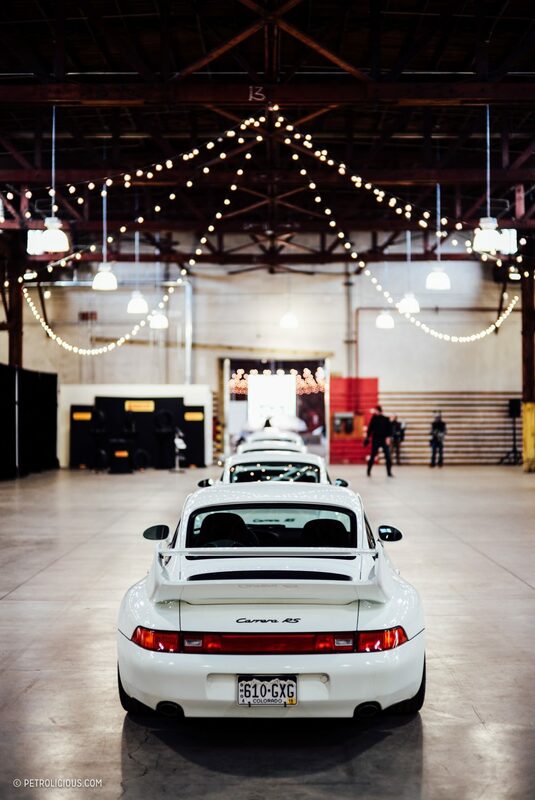 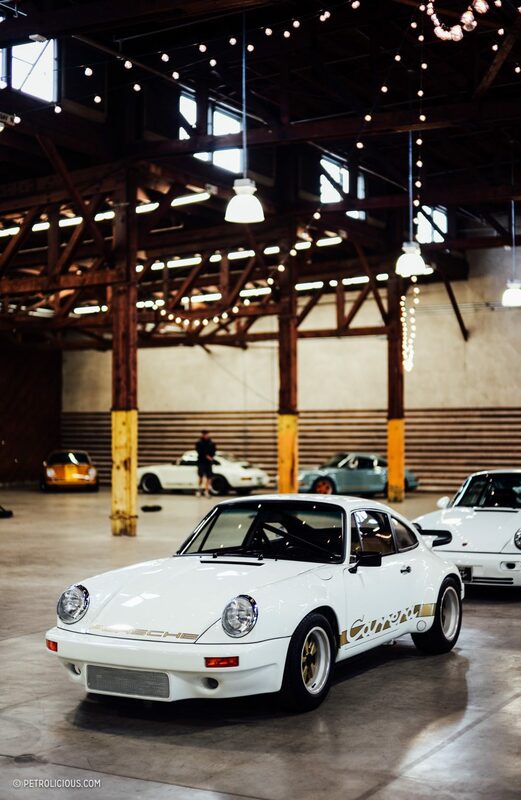 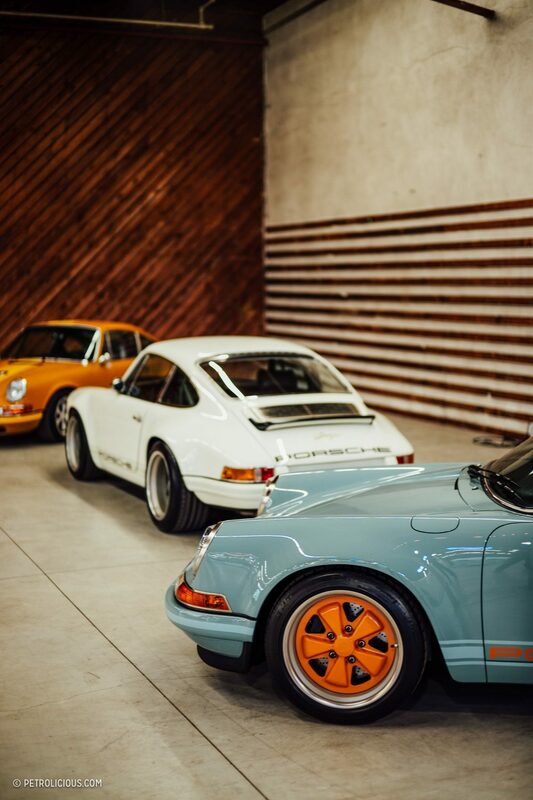 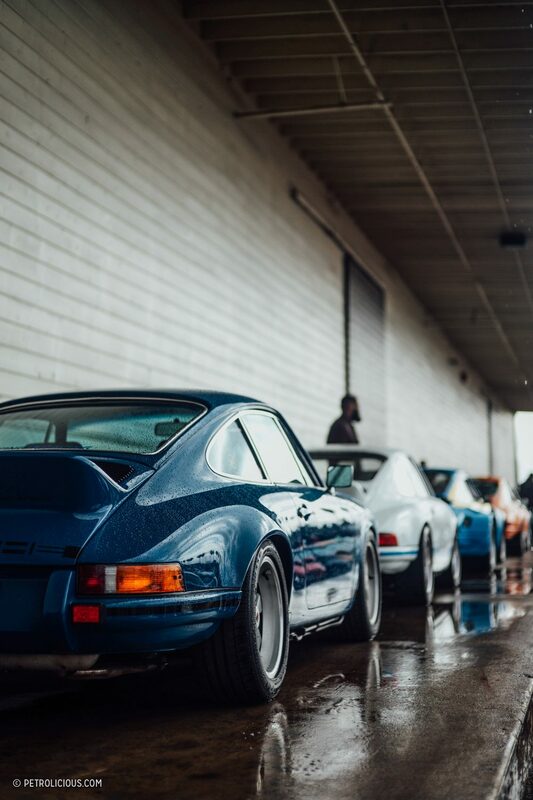 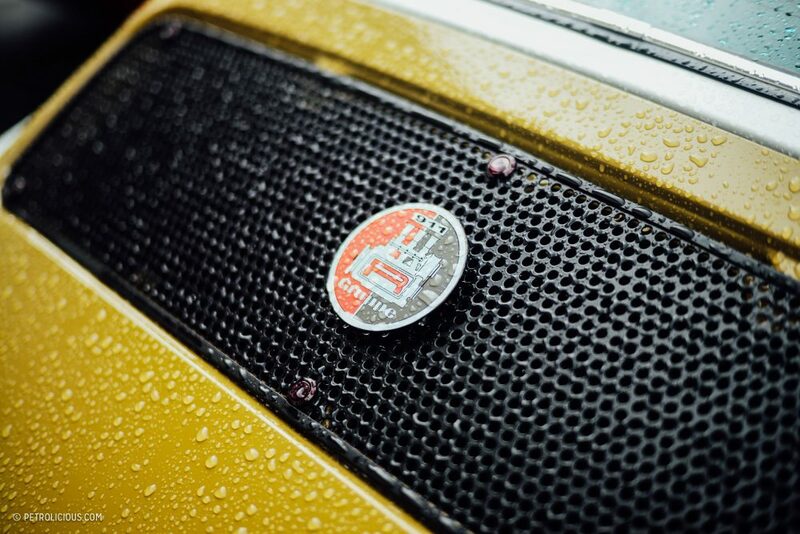 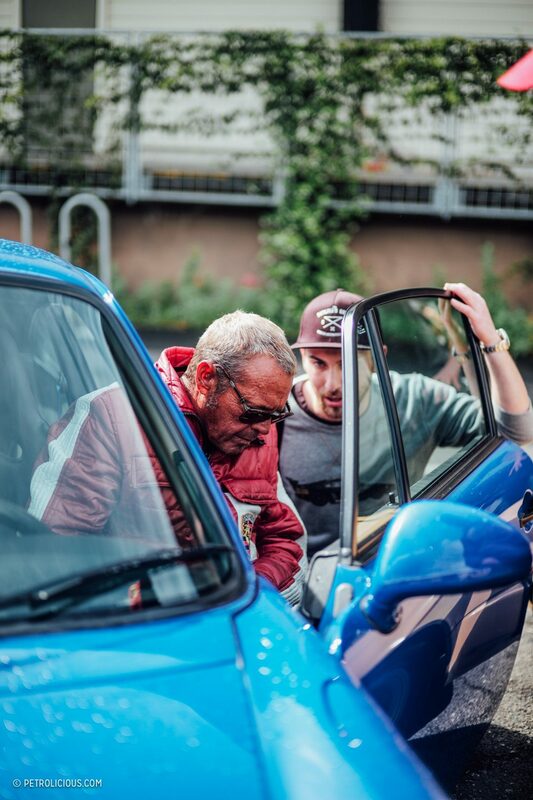 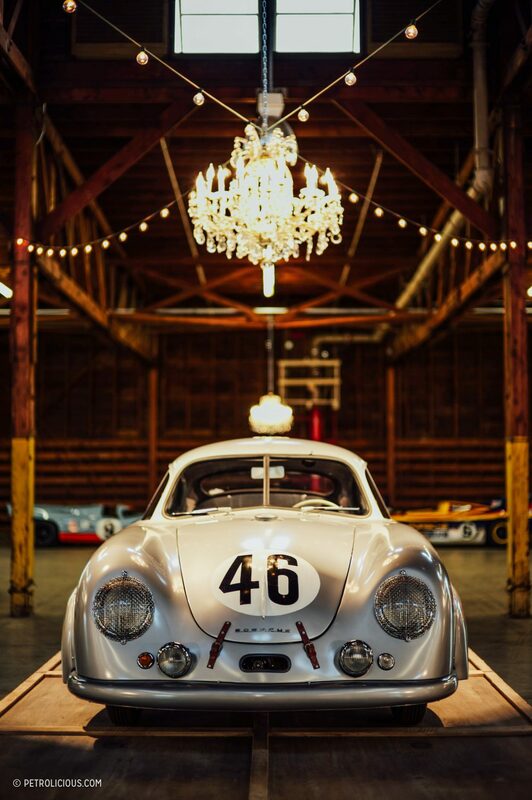 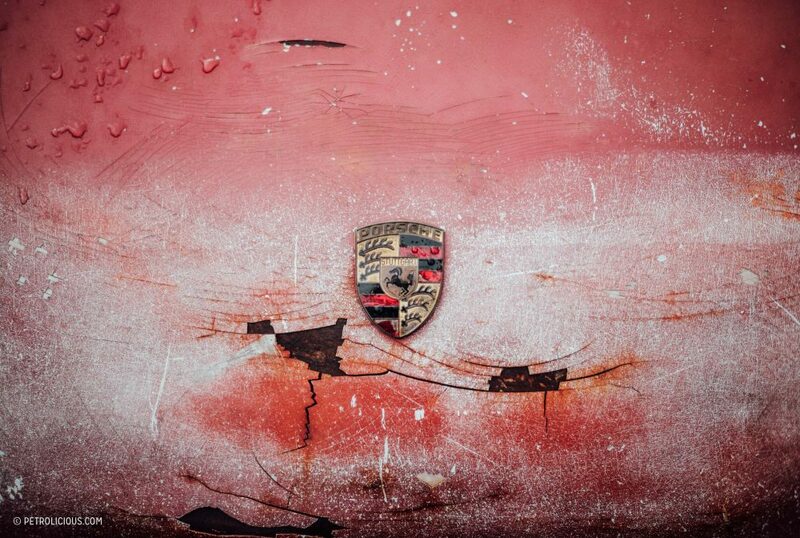 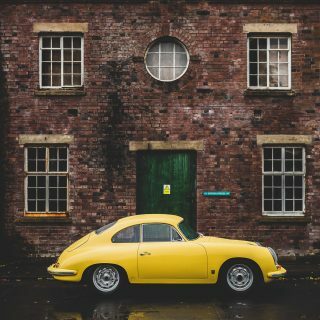 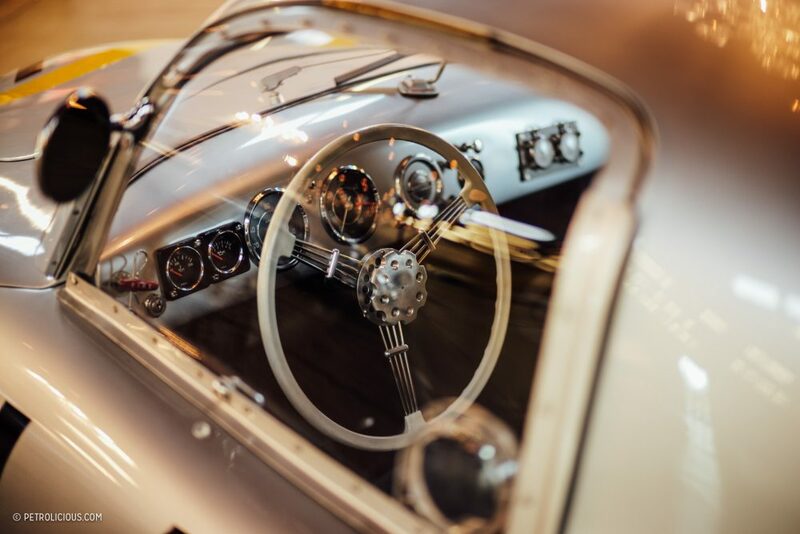 Remarkable collection of cars, both inside and out… and beautifully photographed. 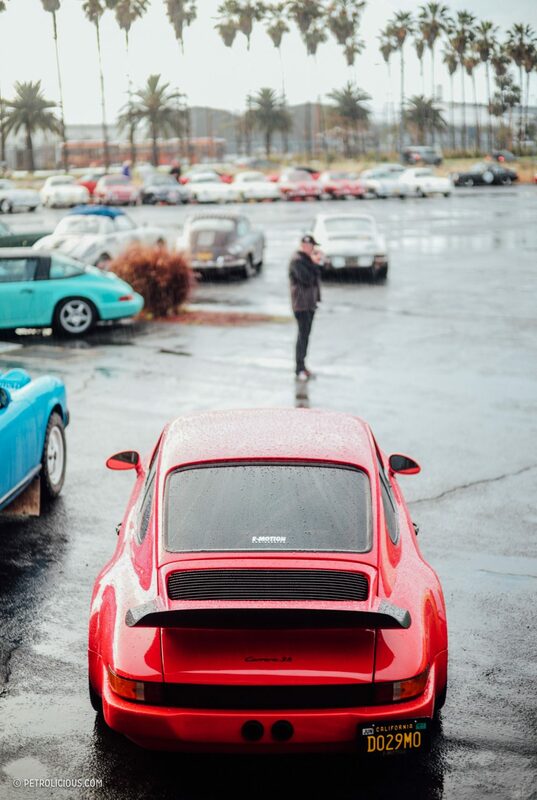 On the calendar for next year. 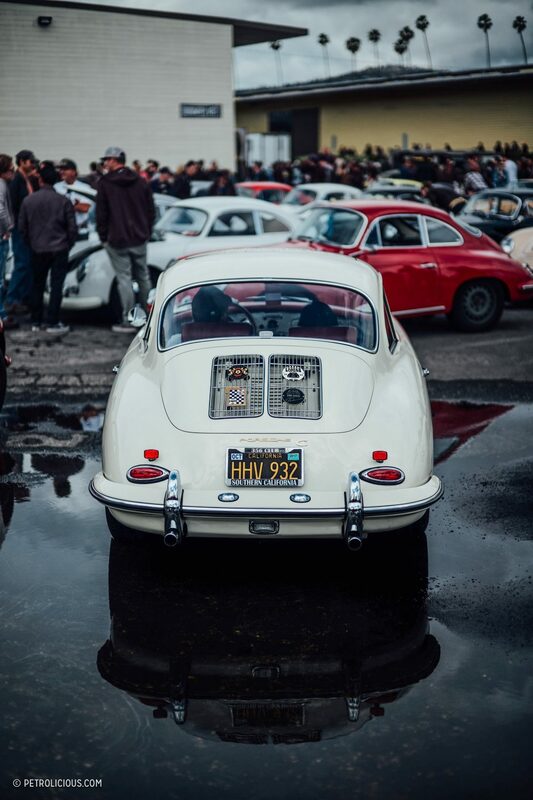 Hate to be pedantic .. to both the organizers and y’all but …. 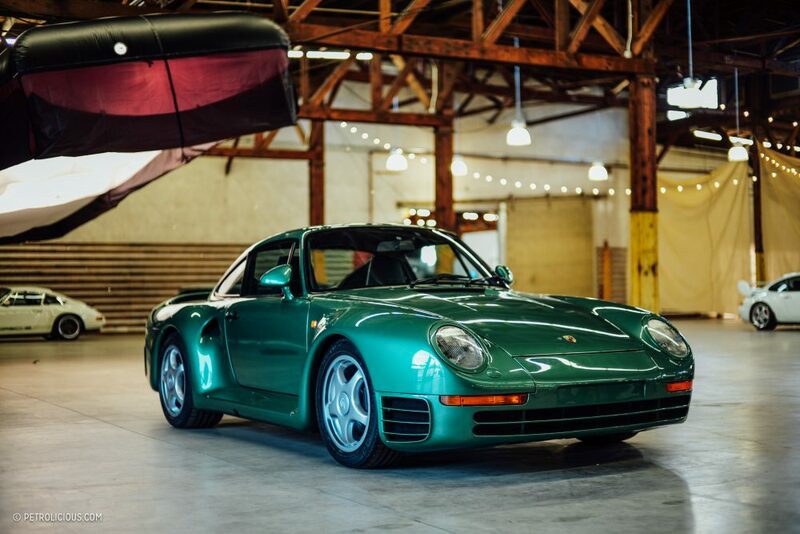 technically the 959 what with its water cooled heads is not … strictly an Air Cooled Porsche . 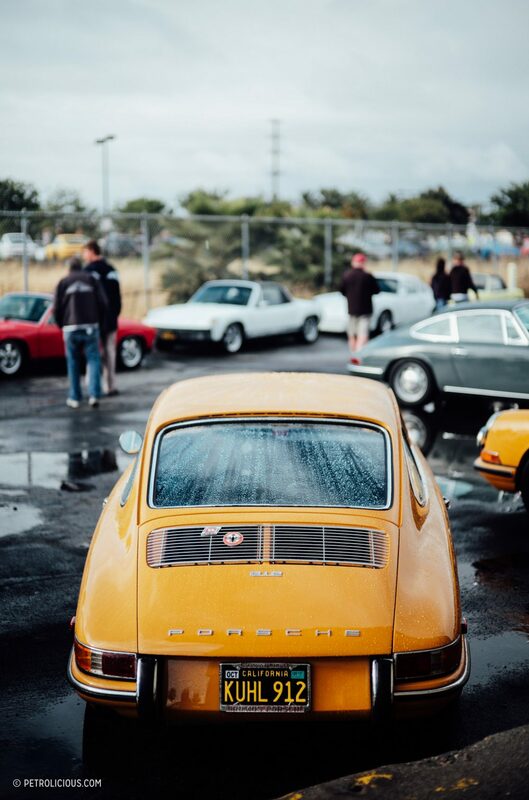 More a mongrel mix of air water and oil . 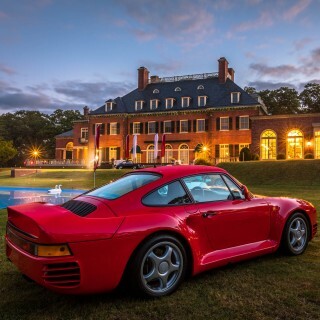 Heck .. even Porsche themselves ( along with most Porsche historians ) do not classify the 959 as an ‘ Air Cooled ‘ Porsche . 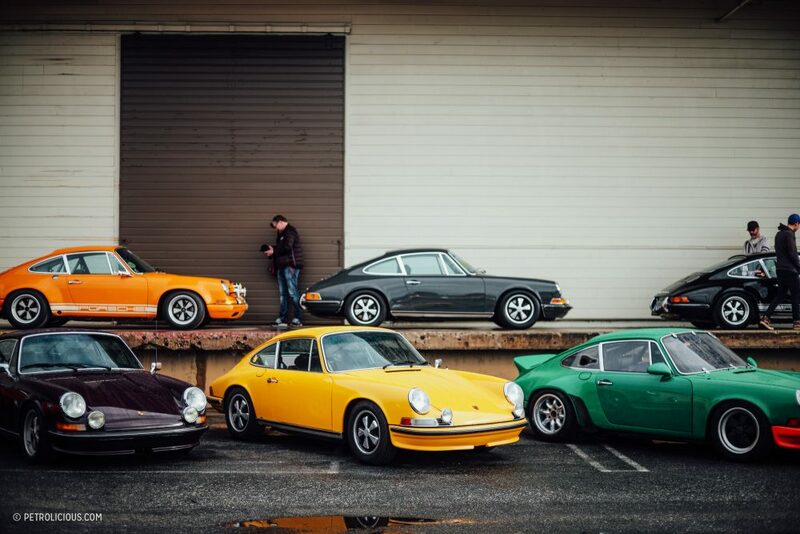 I’d say that a door-to-door anti-freeze salesman would pass this bunch by. 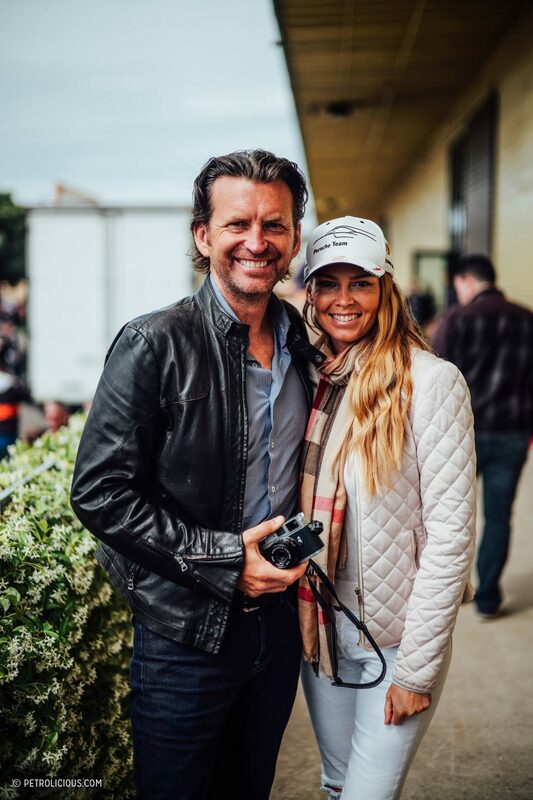 Spectacular coverage of an exceptional event!